HAPPY NEW YEAR! We’re onto 2019, hip hip hurray! 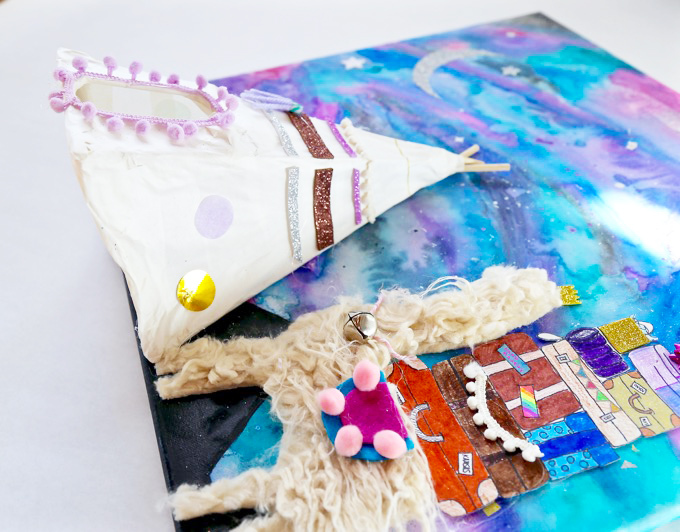 Excited to share with you our latest workshop ~ You + Me + a Teepee ~ Alpaca My Bags ~ DIY Artful Adventure a project dreamed up in the studio and created with children, ages 5 – 13, over an 8-week session! The best part of this project you ask? It’s multi-layered, dimensional, full of exploration + experience, completely artful + action-packed, personalized, and even A-G-L-O-W to light up a stargazing night! Take a peek! 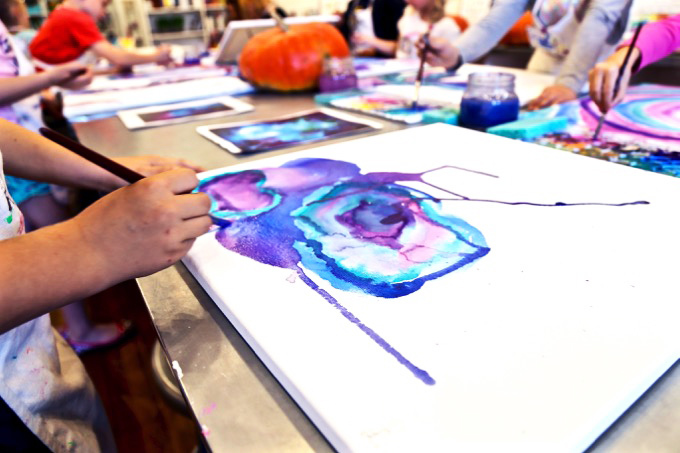 NEW ART WORKSHOPS BEGIN JANUARY 8TH! 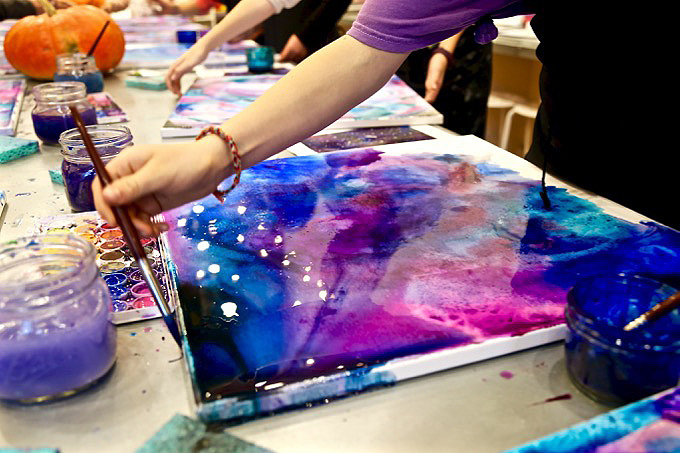 JUMP IN AS WORKSHOPS ARE QUICKLY FILLING! Early online enrollment is highly encouraged as seating is limited! 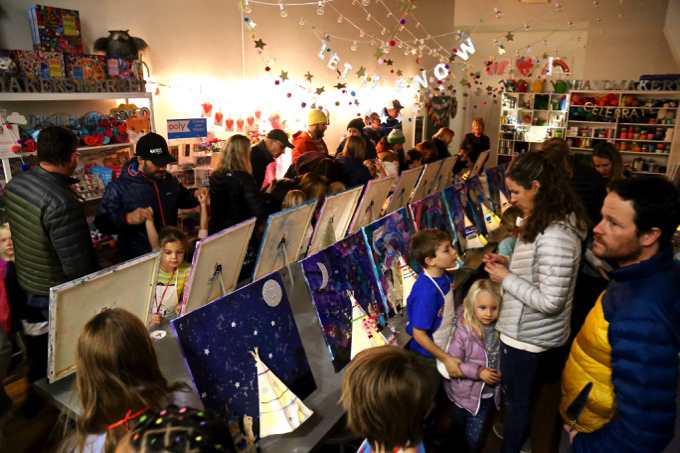 Start a new year making + creating + connecting in a colorful community focused on a creative + collaborative childhood! STAY CONNECTED @handmakery ON INSTAGRAM! A proud + confident artist feeling aglow and over the moon with a stargazing smile! Mini-exhibits were truly aglow. 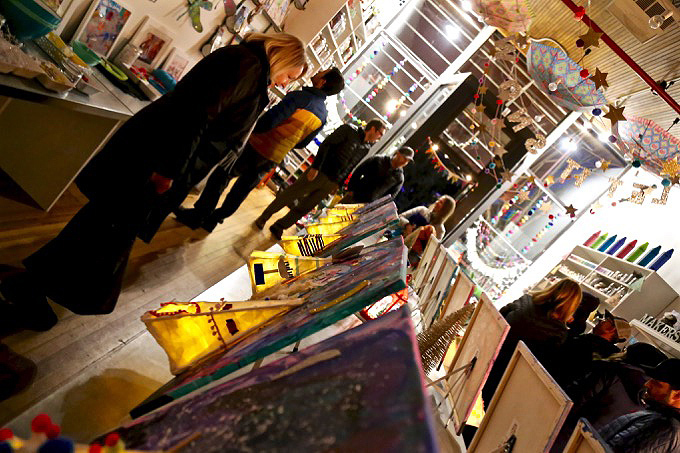 It was our first show with gallery mood lighting, definitely the best ambiance of the year! 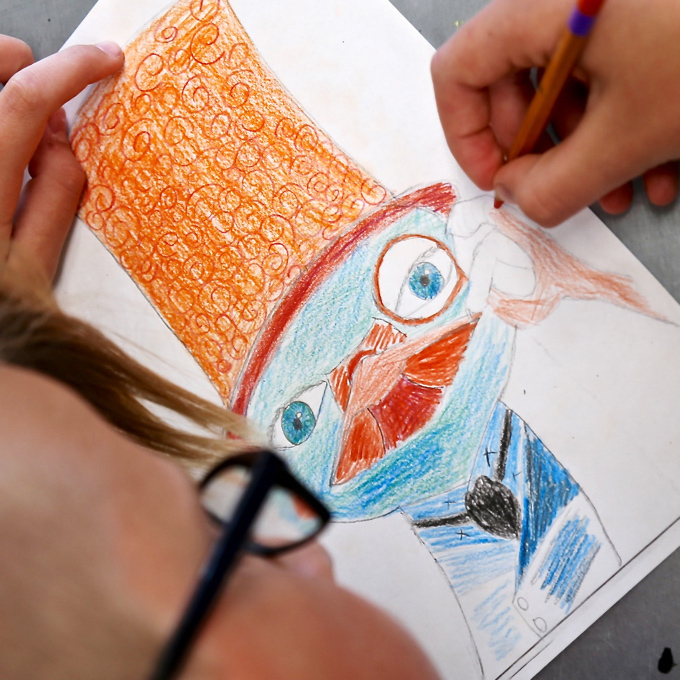 Artists were anxious and animated to show off their colorful creations to family and friends. 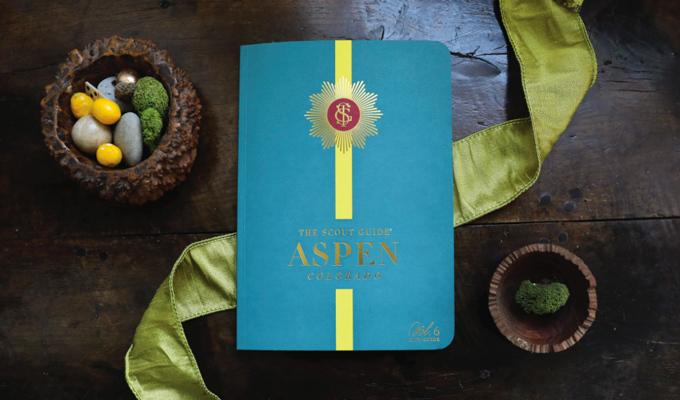 On a little side note: Be sure to find us all around the Roaring Fork Valley in The Scout Guide Aspen, Volume 6! A beautiful + NEW publication just launched! THANK YOU for featuring HANDMAKERY in ~ Ones To Watch Aspen, via Amy Groom & Erin Jones | Owners/Editors of The Scout Guide Aspen! 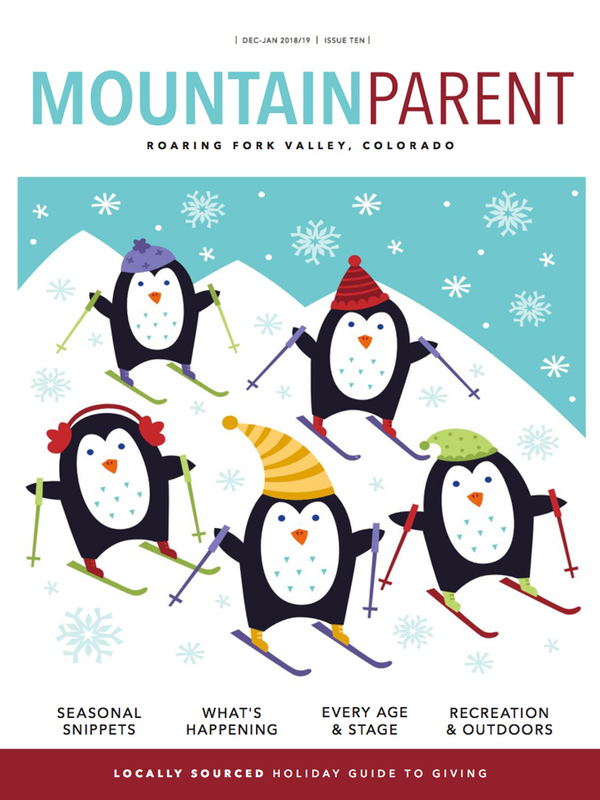 Pick up your very own copy of this beautiful guide in our art studio, around the Roaring Fork Valley, or even read online! Embellishments- pom-poms, pom-pom ribbon, felt, tissue circle confetti, and more! 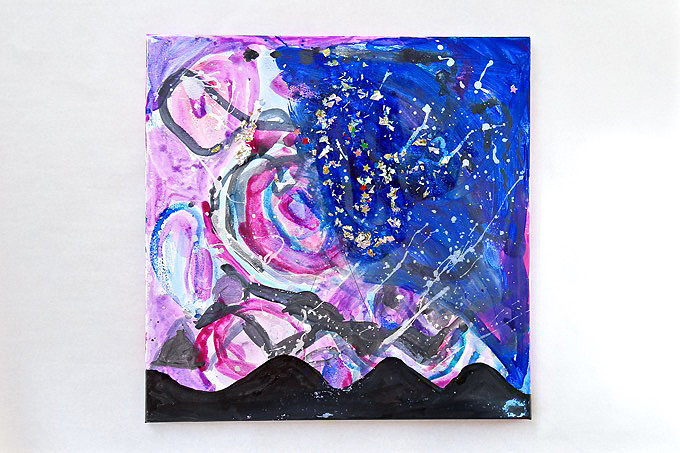 ONE Begin with a galaxy sky on a stretched framed canvas. Focus on using cool colors to stain the bright white canvas. Work light to dark. 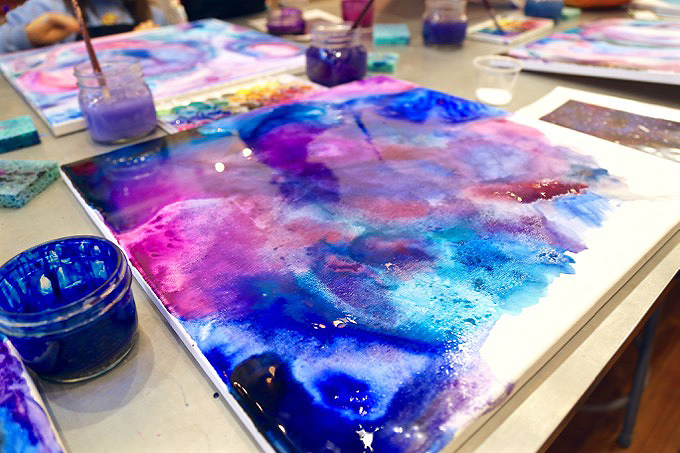 Experiment with staining, dripping, splattering, movement, and layering techniques using a paintbrush, a watercolor pallet, liquid watercolors, and even build up to adding a tempera paint layer. Use salt for additional experimentation and effects. Dry. Relayer to go darker. Eventually, even incorporate some black. Dry. Splatter using metallic liquid watercolor and dip a tiny wooden stick with white tempera to stamp for distant stars in the galaxy sky. TWO Fully dry canvas. Draw mountains using a pencil in the lower half. Paint in mountains using India ink. Dry. Embellish sky with glitter, metallic confetti flakes, metallic circles and stars, metallic sticker stars, and even tiny snowflakes. Attach using gluestick and/or white school glue. Use matt Modge Podge to lightly seal embellishments with a 1″ utility brush. THREE Draw and cut a small + simple paper silhouette which will become the “you + me” of this piece. The silhouettes may include people, animals, trees, or even the combination. Attach silhouette and seal with Modge Podge. 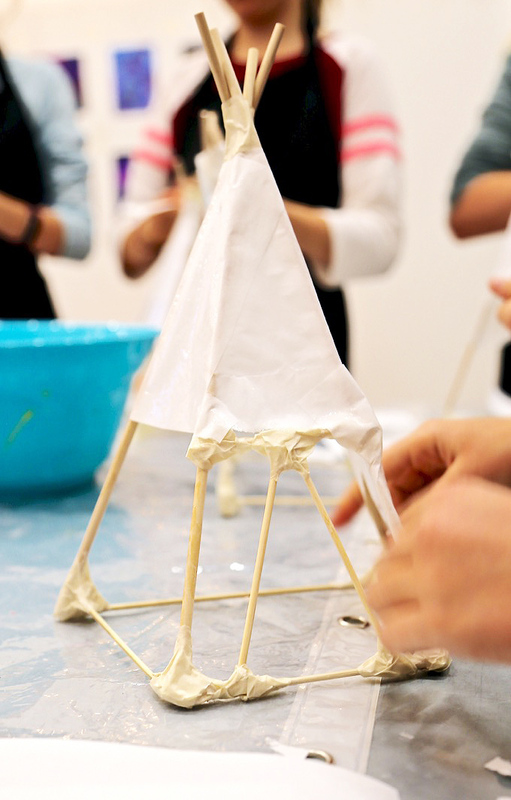 FOUR Use wooden skewers to form a simple teepee frame with a flat back. Assemble using masking tape and partners. A peek at teepee armatures ready for a doorway and then a single layer of papier-mâché. FIVE Move onto adding a doorway that is front-facing with a horizontal crossbar and two lower sticks running verticle made out of tiny wooden dowels. 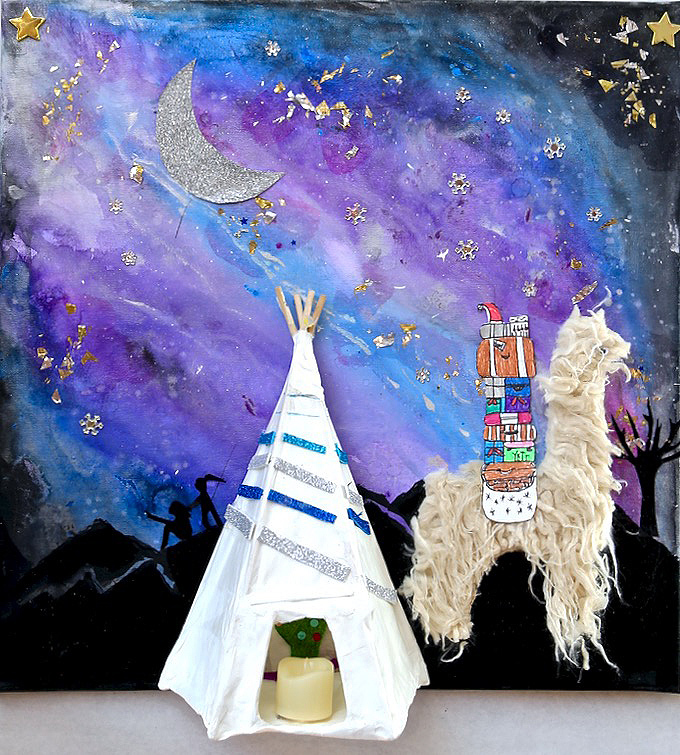 The doorway is a great addition to personalize the teepee but be sure it’s large enough for a battery tealight candle to be placed inside. Doorways can be triangular, square, or even arched! 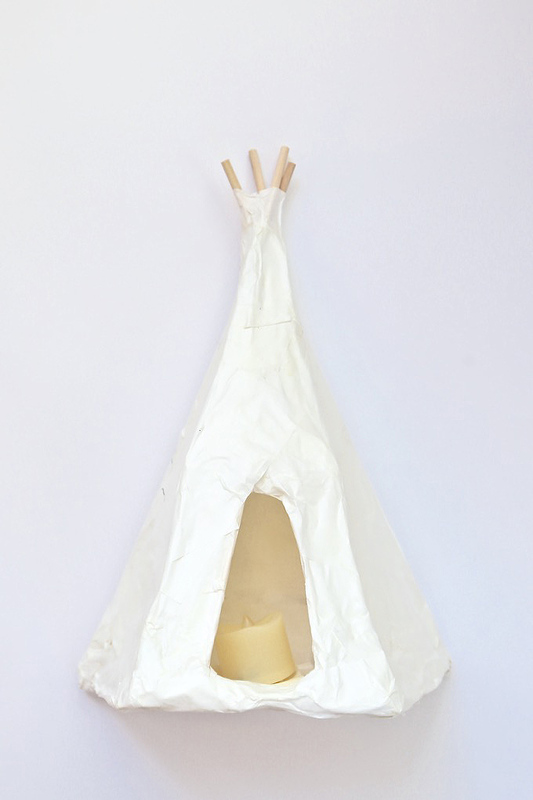 SIX Papier-mâché the teepee armature using light-weight paper similar to copy or butcher paper, so the finished teepee will glow when the tealight candle is inside. A completed teepee just before being embellished. Add a tealight candle for a lovely nighttime glow. SEVEN Sketch out bags for travel on watercolor paper. Did you get the workshop title? Alpaca my bags… I’ll pack my bags! Gear for travel may include suitcases, stuffies, plants, firewood, gifts, coolers, and more! Once sketched, outline with a fine point permanent marker and color using sparkle gel pens. Carefully cut out. EIGHT The much-loved alpaca is smaller than a llama. Simply sketch and cut an alpaca from faux alpaca fur. The alpaca is best drawn from a side-view and embellished with a bag using fabric felt, pom-poms, and any other exciting decor. 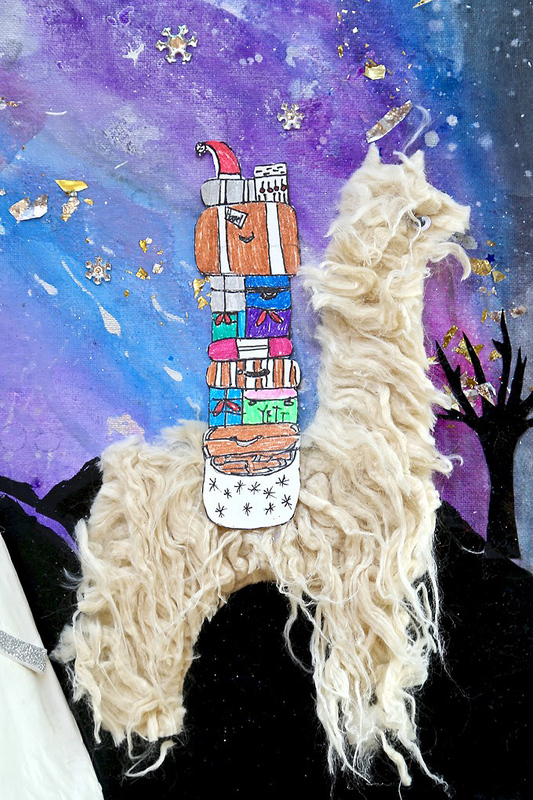 The fabric alpaca can be attached to the canvas using white school glue or hot glue. 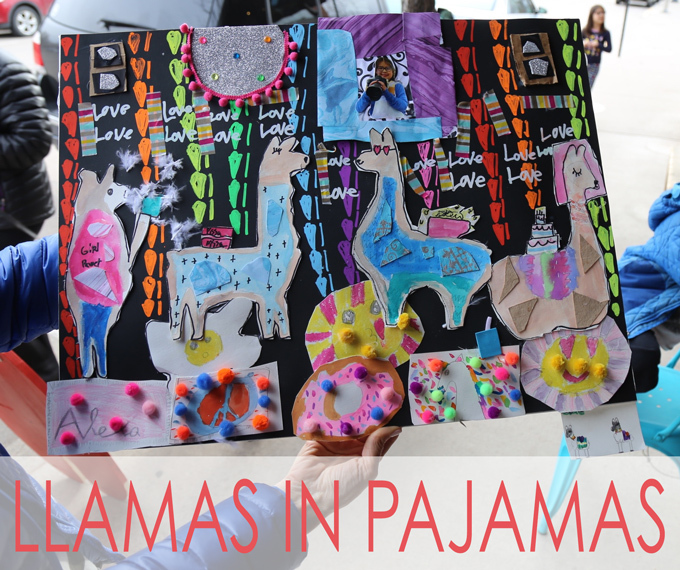 If you like alpacas, you’ll also love our DIY Llamas in Pajamas! 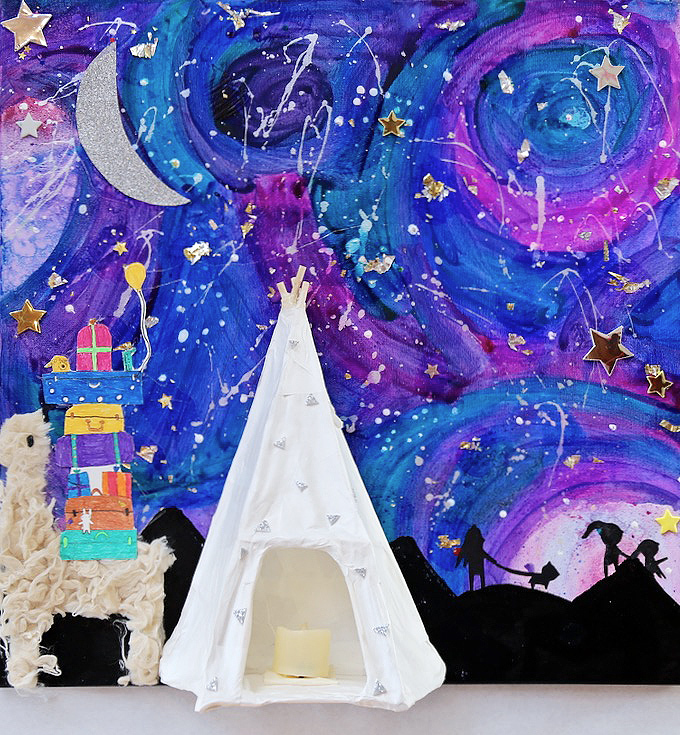 NINE Attach the teepee to the canvas using hot glue or Gorilla Glue (adult use). Dry. 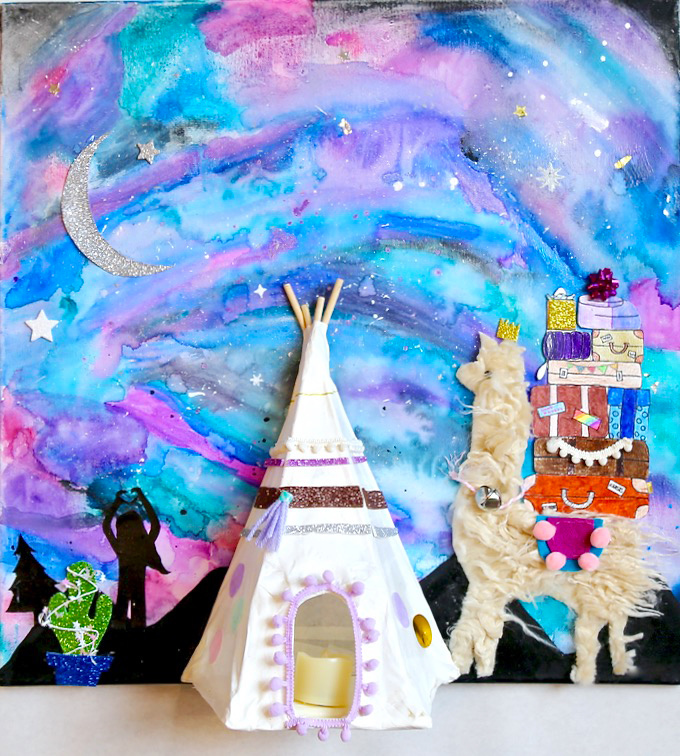 Artists can then embellish their attached teepees using glitter sticky foam pieces, pom-poms, pom-pom ribbon, large tissue paper confetti circles, felt, yarn tassels, and more! Repeat a design around the three sides of the teepee sculpture to create a little radial symmetry. 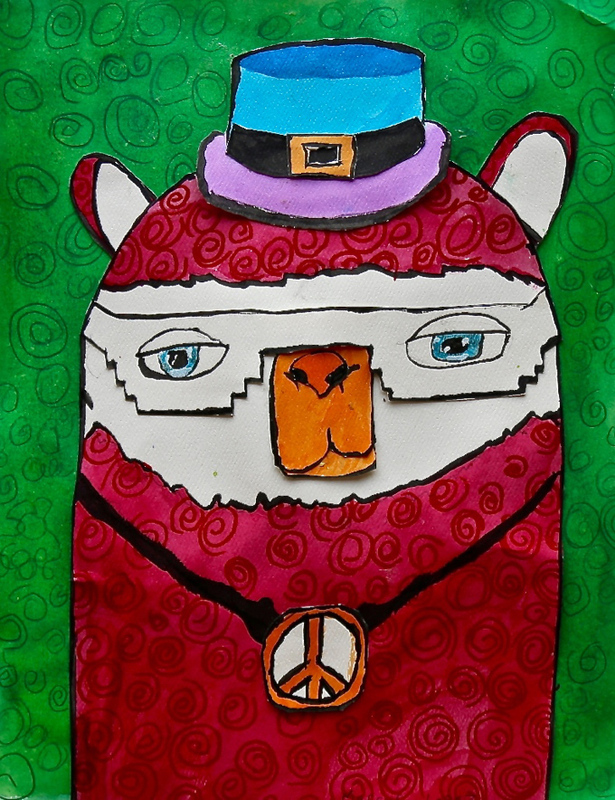 An alpaca artist at our mini-exhibit! Love at “furry” sight! “Oh là là”… the nighttime glow just before the mini-exhibit + recognition ceremony. All lights were on deck. Probably one of our favorite exhibits with an amber glow and all-round ambiance into the night. … a night to celebrate and remember! 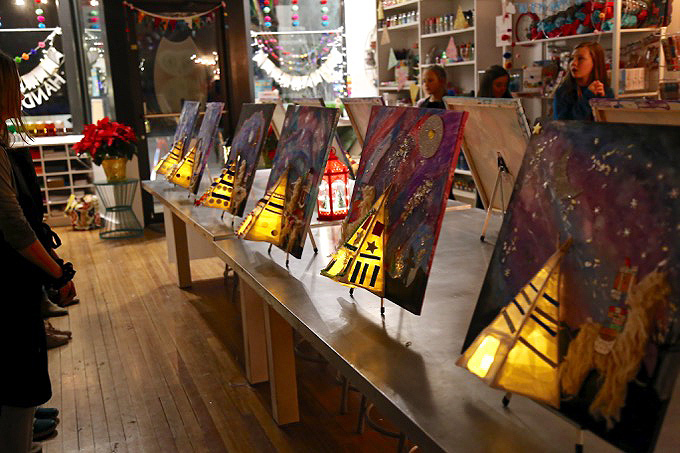 THANK YOU to everyone for joining us in the studio for an artful evening to celebrate! Are you yet following @handmakery on Instagram? Tag us @handmakery with your creations on Instagram! 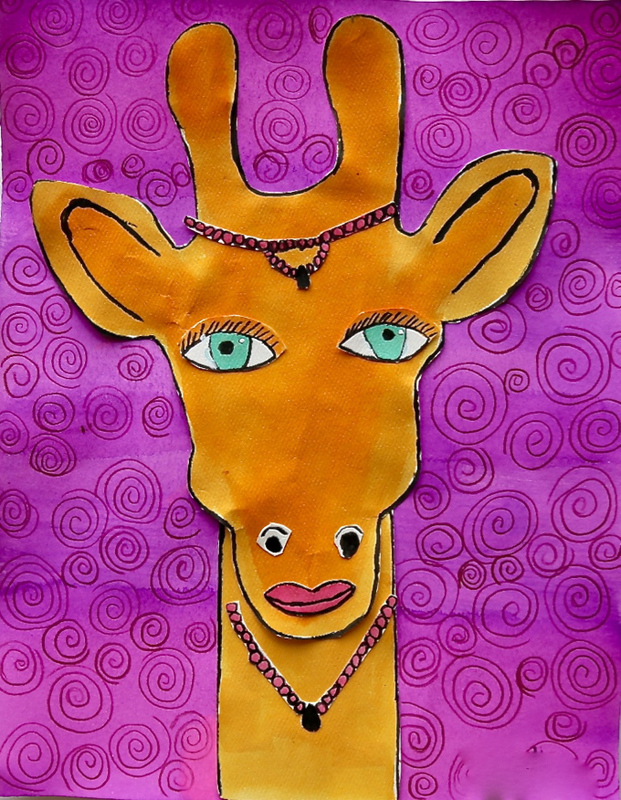 Follow our blog for more inspiring process-based art projects! As always, thank you for following this artful adventure! Send us a note anytime! We’d love to hear what you’re thinking and dreaming! Much love and happiness creating in this creative + colorful world full of collaboration + connection + community + arts & crafting! Happy New Year! Happy December + Happy Holidays! 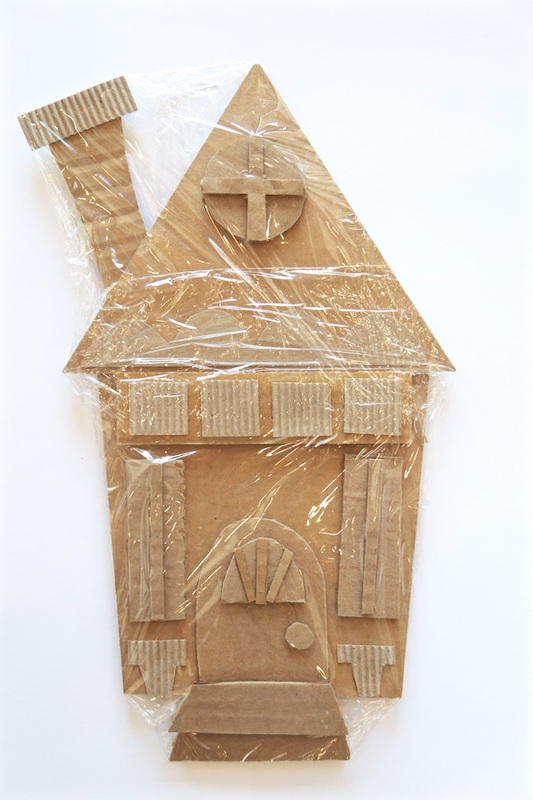 Save yourself long hours in the kitchen spent mixing, rolling, cutting and baking gingerbread dough – use cardboard instead for a ~ DIY CARDBOARD “CANDY” COTTAGE! This fantastic upcycled material is abundant and easy to use. 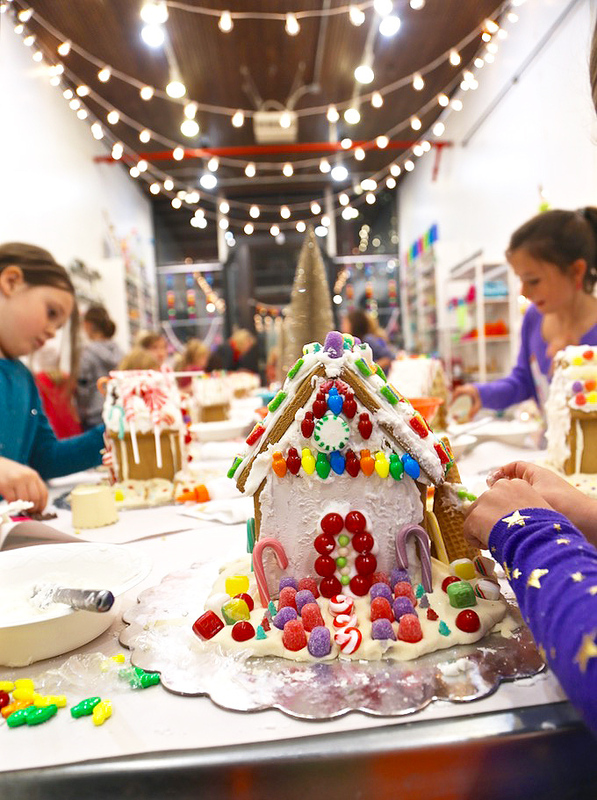 Plus, you can avoid a sugar melt-down by skipping the temptation (and expense) of supplying bags of candy, sprinkles and royal icing – and sculpt your own candy cane columns and gumdrop windows using modeling dough. 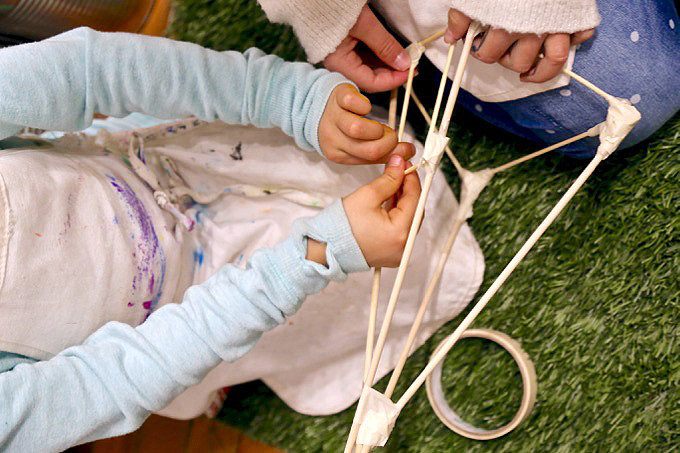 This open-ended, creative process is fun for ages 5-12 (or, say, age 35+, if Mama is so inclined). These cottages can be used as holiday ornaments, wall hangings, or added as a 3D element to a canvas painting, as shown here. You can even make a village; a timeless, long-lasting heirloom, completely made by – hand from the heART! 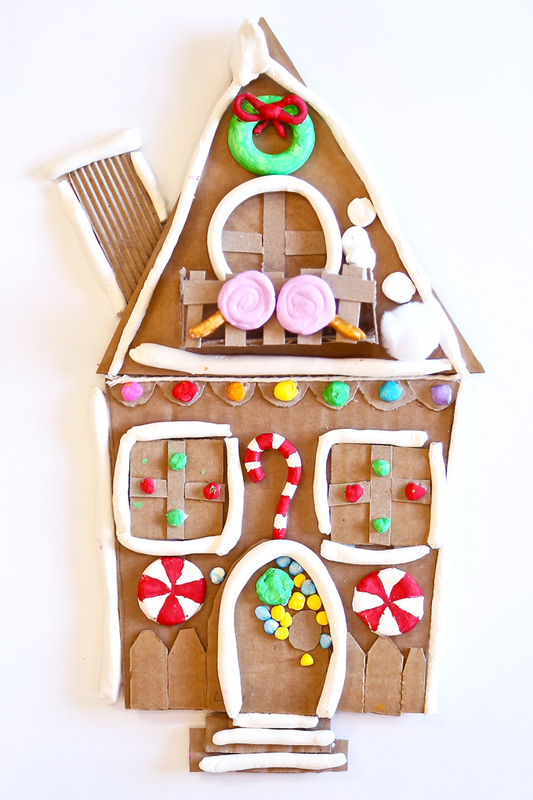 Traditionalists who want a classic edible gingerbread house (complete with candies galore) can skip the inevitable sticky cleanup at home, and instead, deliver their children to December’s FIRST FRIDAY ~ CANDY COTTAGE WORKSHOP at HANDMAKERY, where crumble-proof walls and every sweet adornment will be provided. 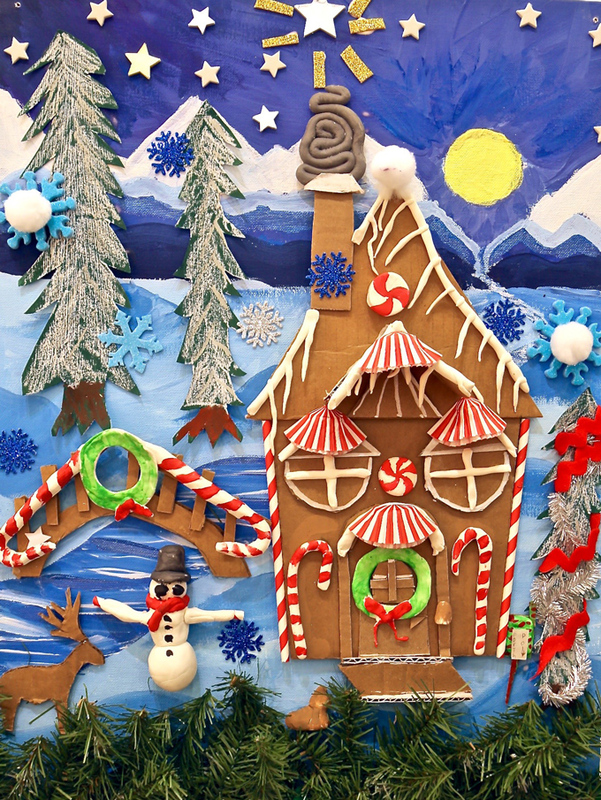 See the full CARDBOARD “CANDY” COTTAGE article in Winter Edition | Issue 10 of the MOUNTAIN PARENT magazine offered FREE throughout the Roaring Fork Valley in print (oh SO beautiful) and/or online throughout the world! Embellishments- white pom-poms, red & white paper straws, striped cupcake papers, wire stars, & white string. ONE Download a FREE printable template on handmakery.com/blog. 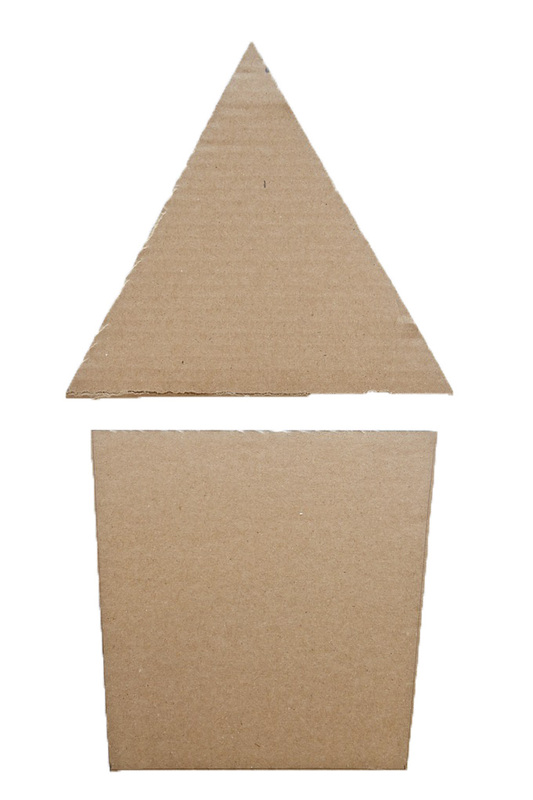 Prepare a cardboard cottage cut-out ahead of time by cutting out two shapes: one will be the cottage, the other will be the roof. 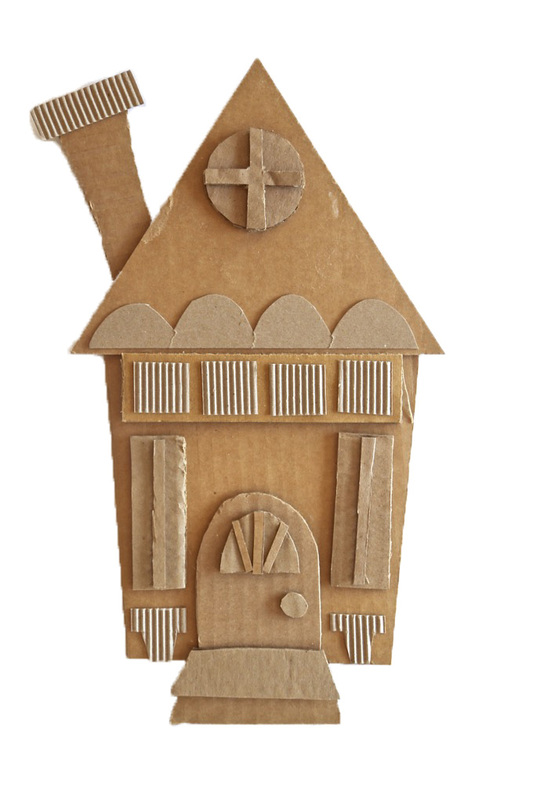 Using white glue, attach the cardboard cottage to the cardboard roof by overlapping just a bit and gluing in place. Dry. TWO Have a mixture of smaller pieces of cardboard scraps available that can be cut and used for pop out details. Lighter weight cardboard is ideal as it’s easier to cut. 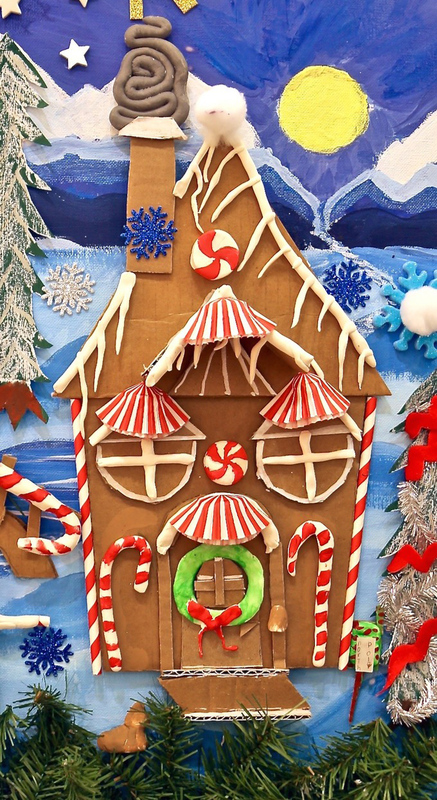 Corrugated cardboard adds a wonderful texture and is also easy to cut. Architectural pieces can be drawn and cut to create doors, windows, porches, fences, shed roofs, steps, a chimney, and more. Draw, cut, arrange, and glue down detail pieces using white glue. Dry. Cottages will become one-of-a-kind mini-relief sculptures! THREE Cover completed cardboard cottage with clear wrap and use masking tape on the back of the cottage to temporarily secure. This protected surface will allow modeling dough pieces to be placed on the house to dry without attaching to the cardboard cottage and will keep the cardboard protected from paint. FOUR Keep cottage covered with clear wrap. Move into making accents using Crayola Model Magic which is a fantastic product for use, flexibility, and simple drying. Start by rolling coils to imply snow and icicles. 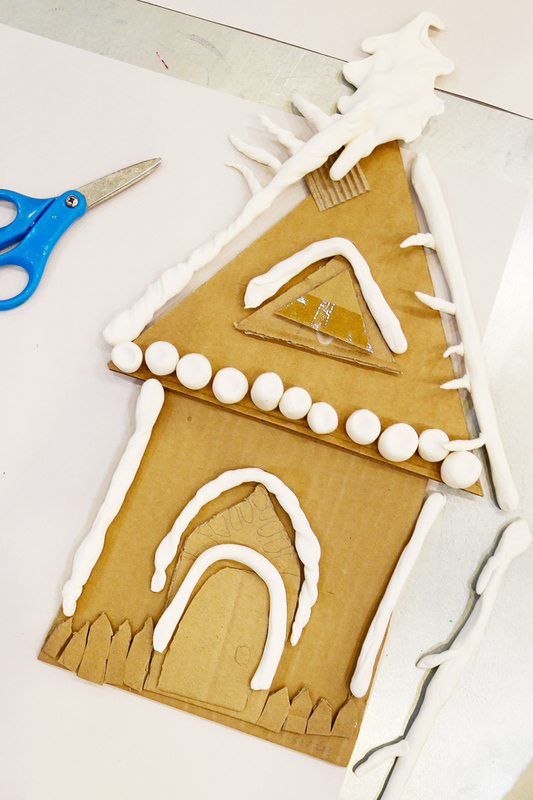 These pieces will take on the look of white icing. These snowy details can run along the edges of the roof, cottage, above the door + windows, and atop the chimney. 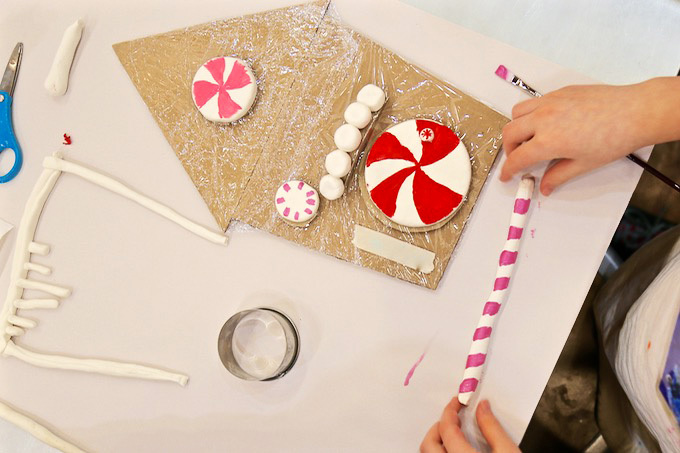 Use modeling dough to also make candies such as gumdrops, mints, candy canes, and other savory + sugary treats. Wreaths, snowballs, and snow piles can also be fun additions. Allow pieces to air dry in place, on top of the clear wrapped house. FIVE Paint dry modeling dough candies using paint and a small brush. Allow painted pieces to dry on top of the clear wrapped cottage. Pieces that are to remain white are beautifully painted with white glue and sprinkled with fine white glitter for added sparkle. Dry. SIX Carefully set all modeling dough piece aside and remove the clear wrap. Arrange pieces in place for gluing down onto cardboard. Most dough pieces can be glued with white glue. 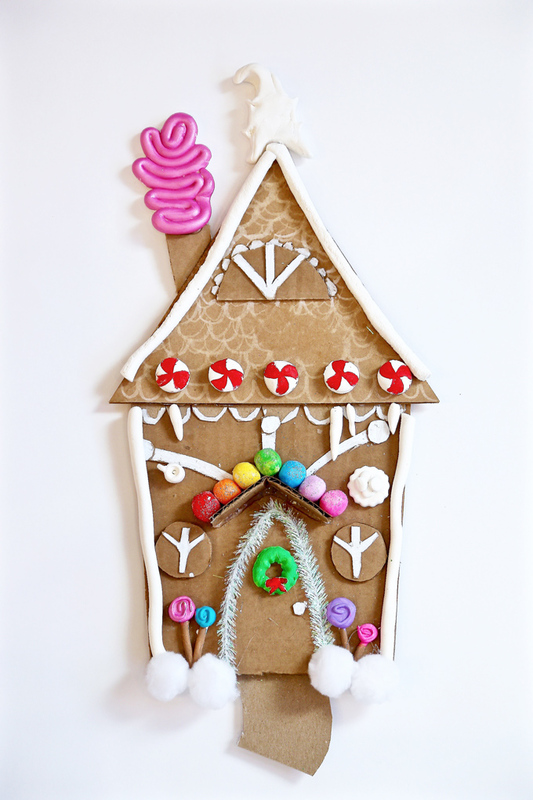 It can be helpful for an adult to hot glue fragile icing pieces for strength and a quicker dry time. 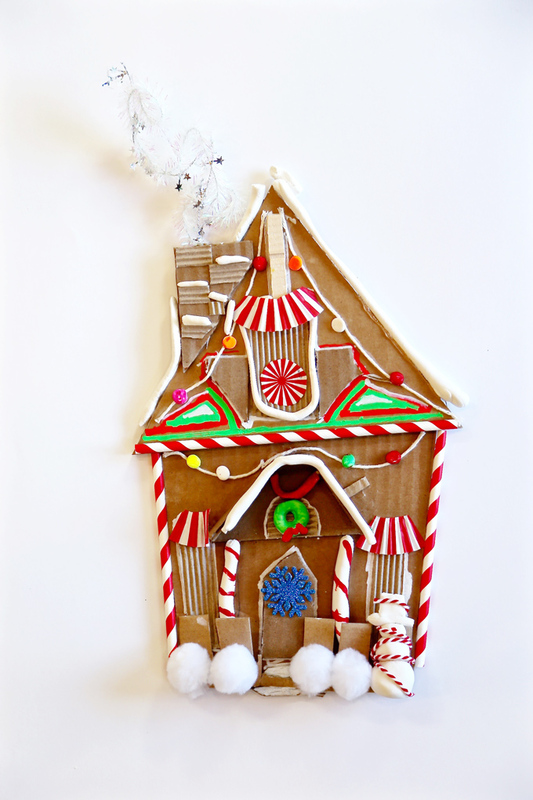 Use chalk marker to add small details of color on the cardboard cottage. 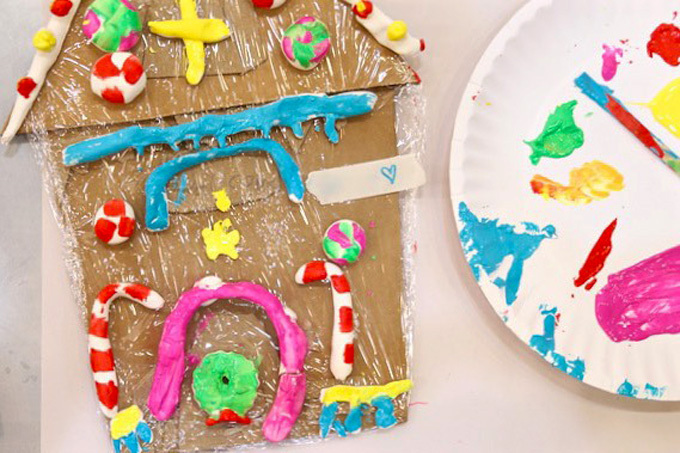 White chalk marker can imply small areas of icing and colored chalk marker can add vivid details to the cardboard pieces. Now, you can add your embellishments including, white pom-poms, red & white paper straws and striped cupcake papers, wire stars, and white string for lights. 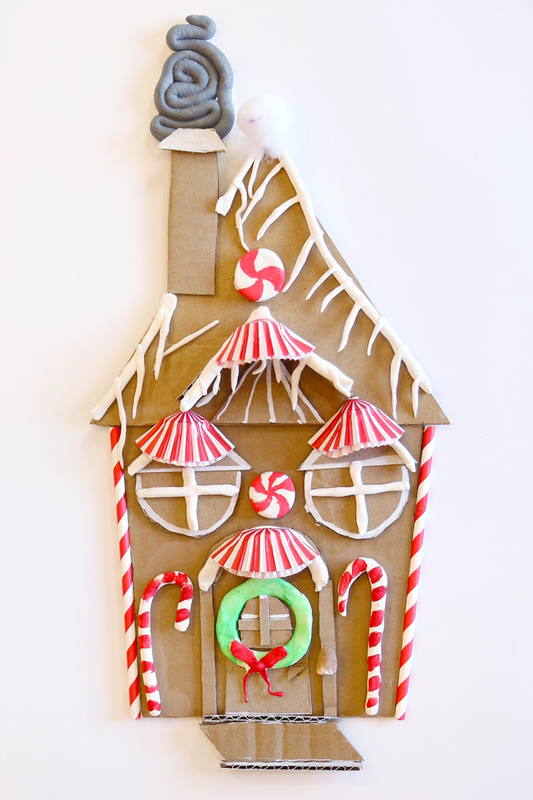 Most embellishments can simply be glued in place onto the cardboard. 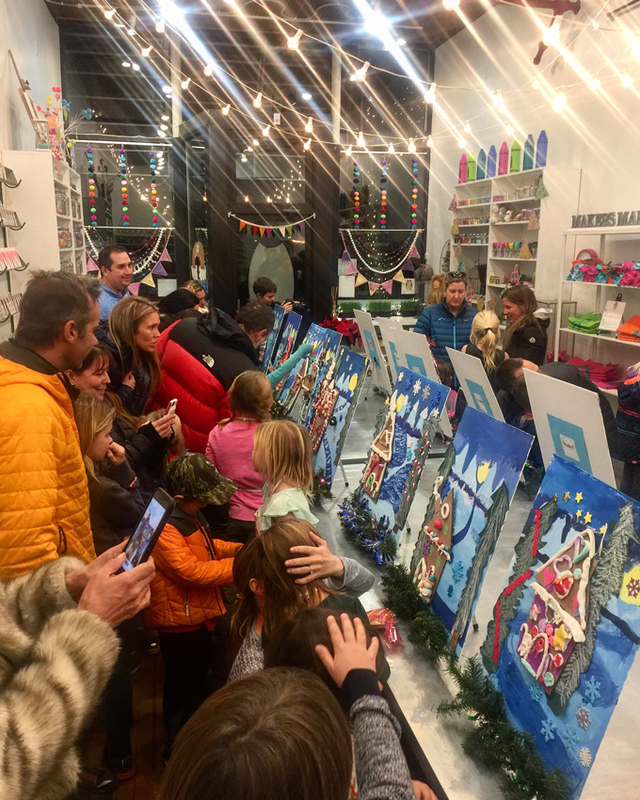 A peek inside the studio at a mini-exhibit + recognition ceremony for our Winter-IE Wonderland Workshop as family and friends gathered to celebrate Cardboard “Candy” Cottages atop a wintery landscape! >>>>> RESERVE TICKETS for DECEMBER 7TH! Happy Holidays! Tag us @handmakery with your creations on Instagram! 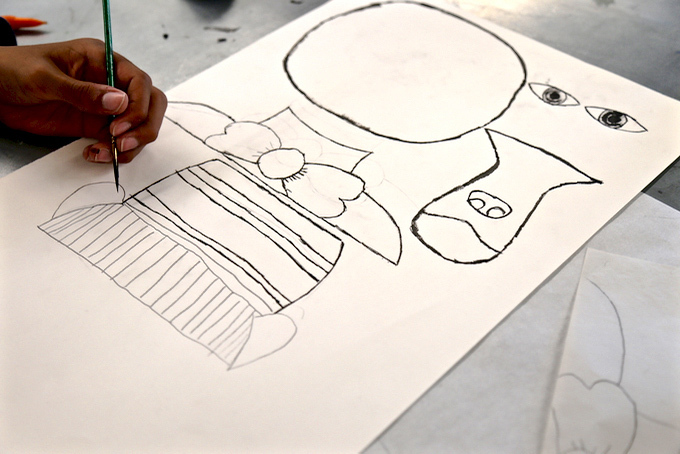 Follow our blog for more inspiring process-based art projects! As always, thank you for following along on this artful adventure! Send us a note anytime! We’d love to hear what you’re thinking and dreaming! Much love and happiness creating in this creative + colorful world full of collaboration + connection + community! 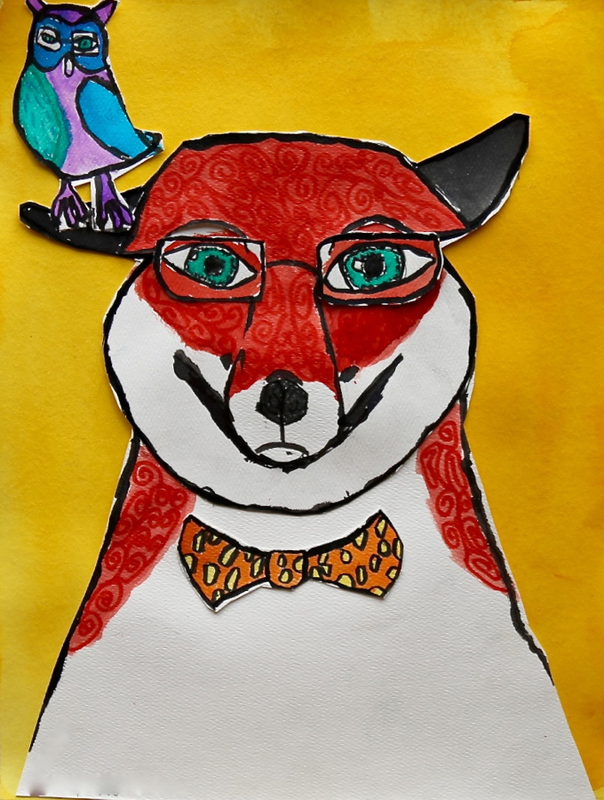 My fabulous art students created a project personally dreamed-up and designed called ~ Pet Portraits with Personality. With moving our studio to Main Street last summer, life got a little beyond busy so thank you for your patience with just getting this project out! With fall in the air and back to school really here, thought it would be the perfect time of year to share this fun favorite with you! 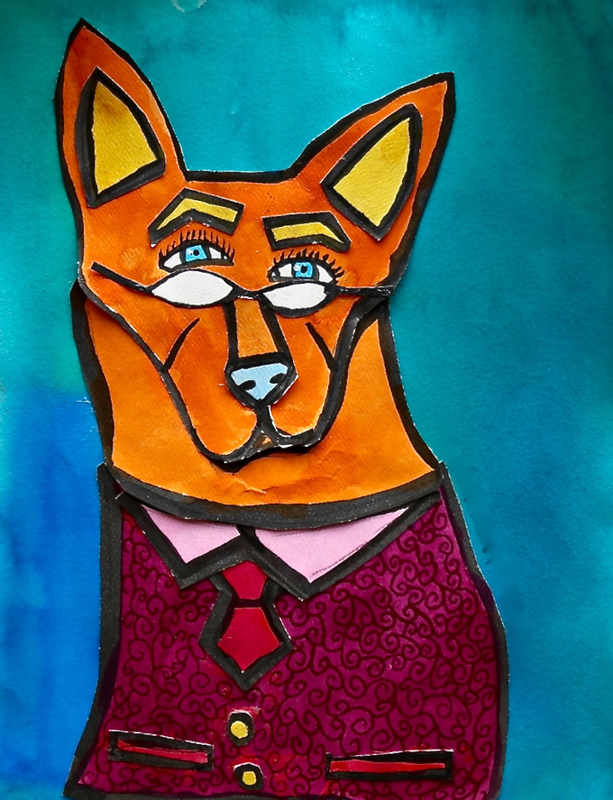 Pet Portraits with Personality was a huge project created with children ages 10 – 14! 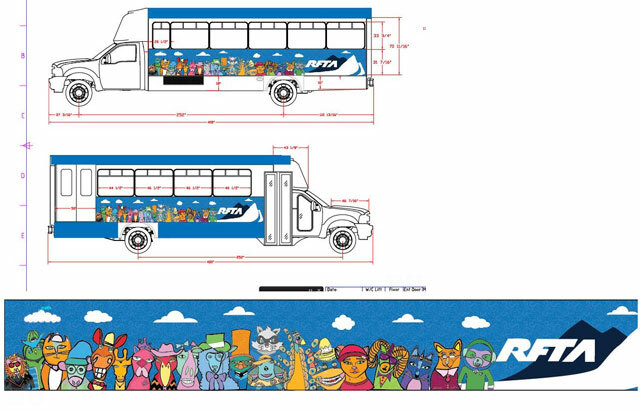 The artwork, 120 finished pieces, were then used for a local circulator bus (yes, a REAL BUS!!!) and a collection of 35+ community “bear-proof” cans. 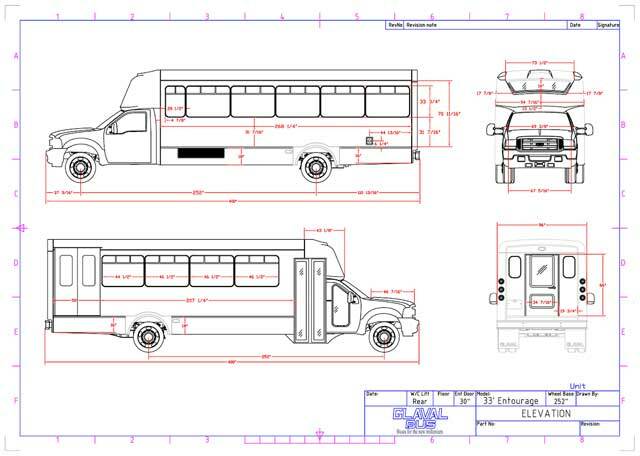 Both the bus and can projects were designed to bring more art to the heART of our historic downtown! So proud of each artist and their unique creation, contributed to both of these colorful community projects! 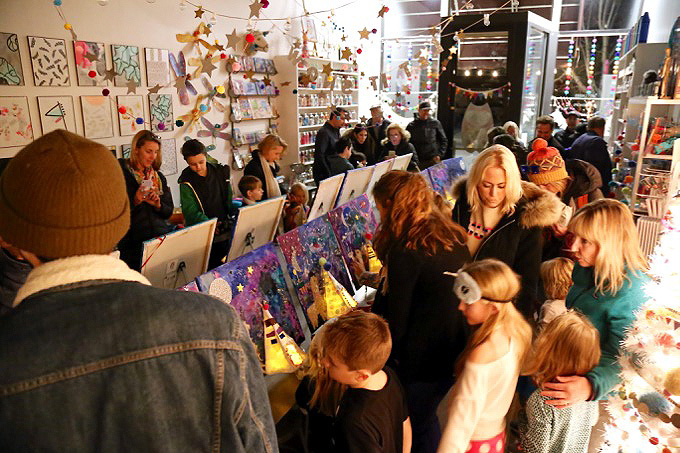 So happy to see our community come together to support both kid-friendly + child-focused art projects! 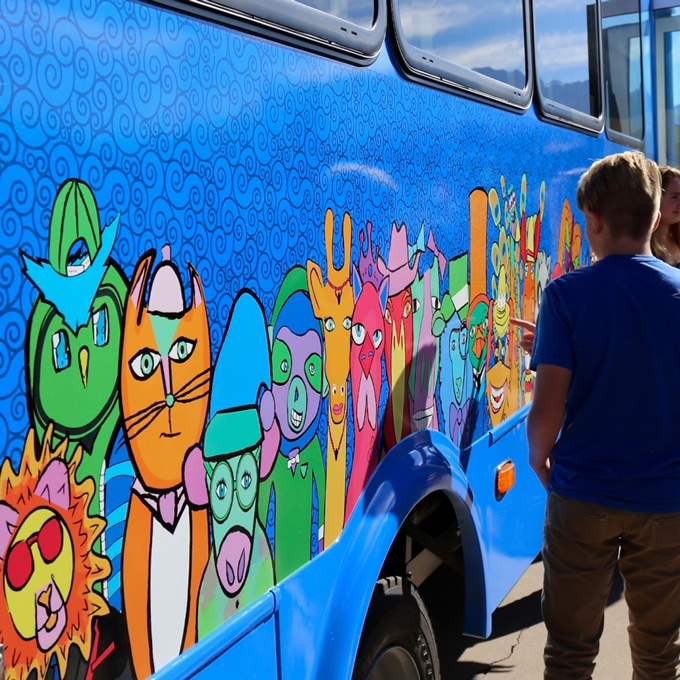 The artwork has brought a great deal of humor, color, and a whole lot of creativity to our community of Carbondale | Colorado at the heART of the Carbondale Creative District! Don’t you just love how childhood and creativity completely collide, to completely capture community and collaboration!?! Take a peek! 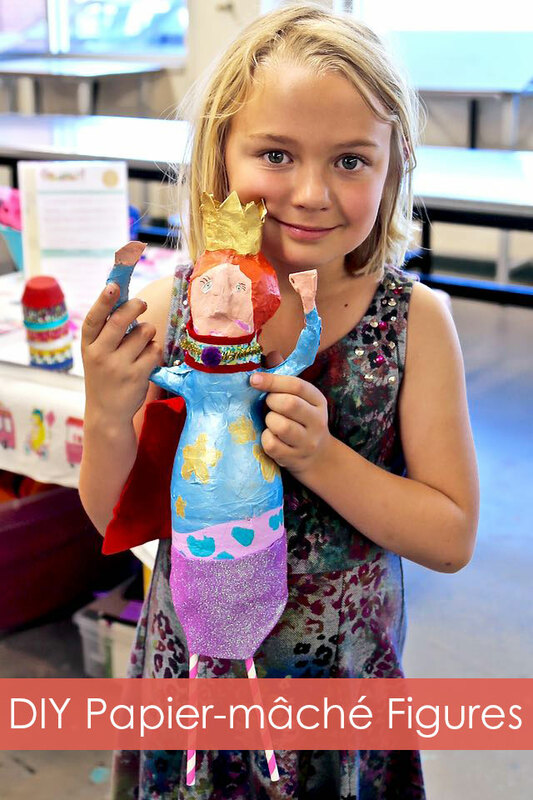 FALL ART WORKSHOPS START IN 7 DAYS!!! 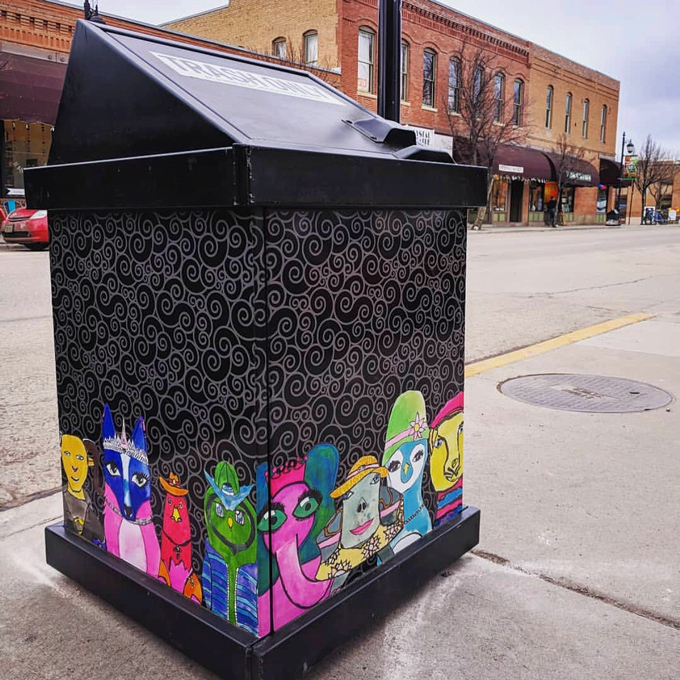 Read a fantastic article highlighting all the details about these upcycled Bear-Proof Cans wrapped with student artwork located throughout downtown! Would you believe there are over 35+ cans throughout our community!?! A huge thank you to the Town of Carbondale for taking on this project. This particular can is located right across from our studio at 449 Main Street! The day the install happened was just beyond exciting to watch out our windows! 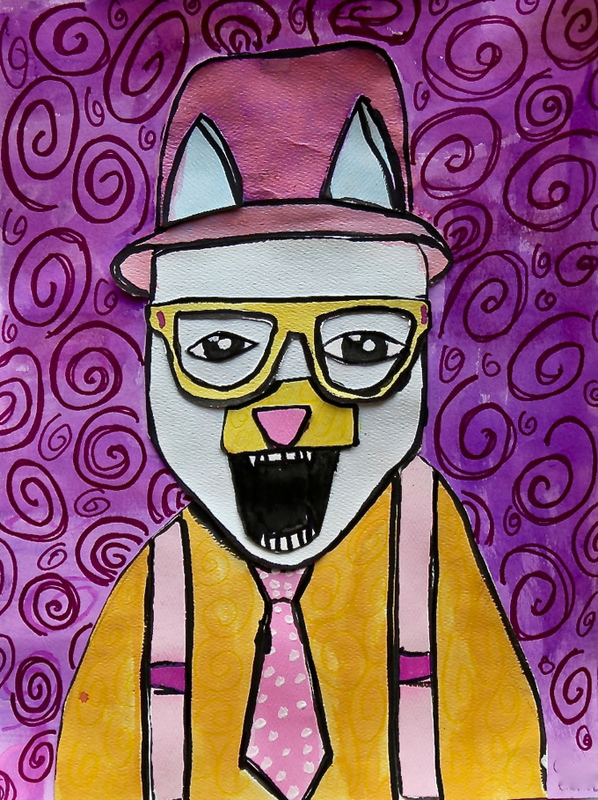 Colored pencils, permanent markers, acrylic paint, colored paper for additional details! 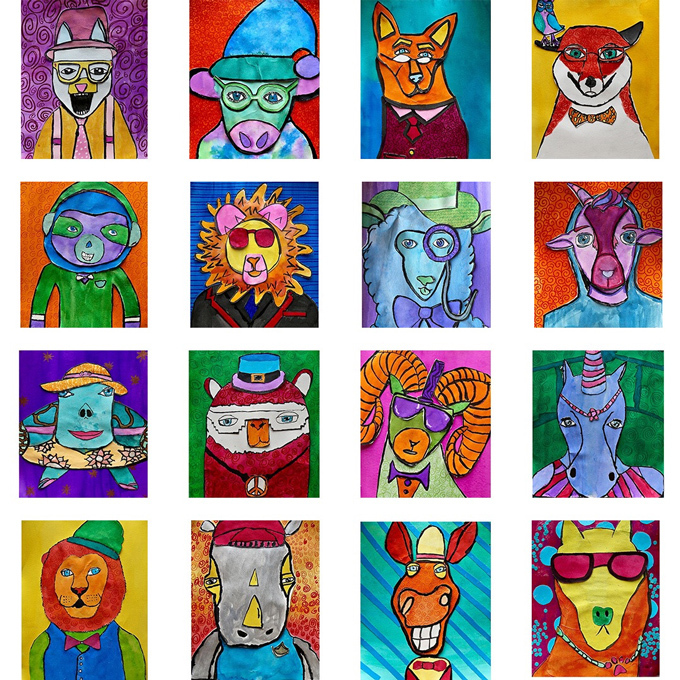 ONE Select a realistic animal and dream up your animal’s expressive personality. Create several mini sketches focusing on the face, head, and shoulders. TWO Finalize your favorite sketch selection into a drawing, again with a focus on the face or upper body. Humanize your animal by adding human-like features, ex. eyes, mouths, shoulders, costuming and fun accessories, yet keeping a bit simplified, as individually drawn pieces will need to be drawn and cut out. THREE Finalized your favorite animal drawing to a specific vertical paper size, fill the space by going big and focused in. FOUR Trace each section of your drawing onto tracing paper at a window or lightbox. Separate out each layer. For example, the glasses would be a separate “drawn and cutout piece” from the face, to then overlay on top of the face. Start with the largest shapes first, such as the face, neck, and shoulders. It is very helpful to create bigger shapes to smaller shapes, working background to foreground. FIVE Place the tracing paper shapes behind the final watercolor paper at the window or lightbox. Trace images onto heavy-weight watercolor paper in pencil. Again, all individual pieces that make up the complete animal, will be all drawn as separate pieces. The photos, above and below, should help with the visual understanding. SIX Before cutting apart, use India Ink and a small brush to outline all the separate pieces. Remember to vary the line quality to keep your pieces more painterly so they capture both thick and thin for a more handcrafted flair. Dry. SEVEN Plan out a color scheme- complementary, analogous, warm or cool, intermediate, triad, or monochromatic for the overall piece. The color scheme should include the background. 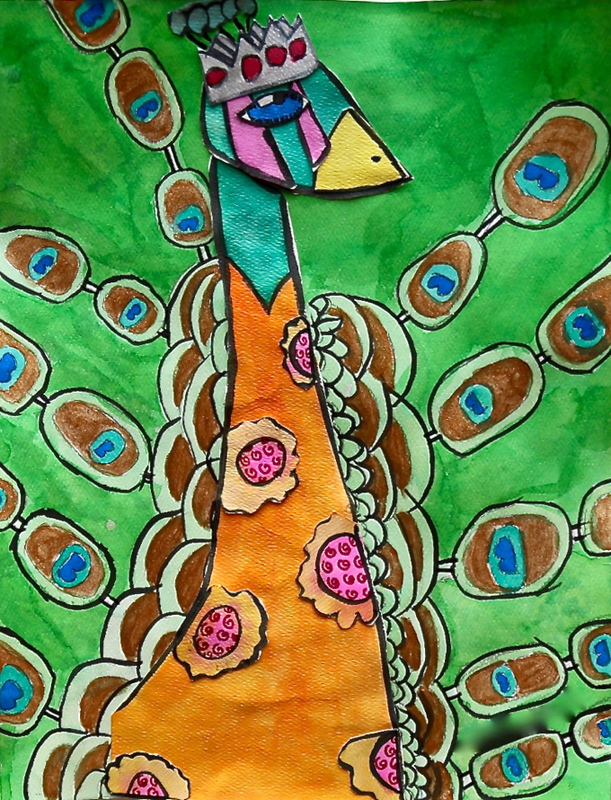 EIGHT Using watercolors, which could be liquid or traditional pallets style, paint each piece remembering to dry between colors. Dry all pieces. Cut apart all individual pieces following the outer edge ink so the varied edge lines are preserved. 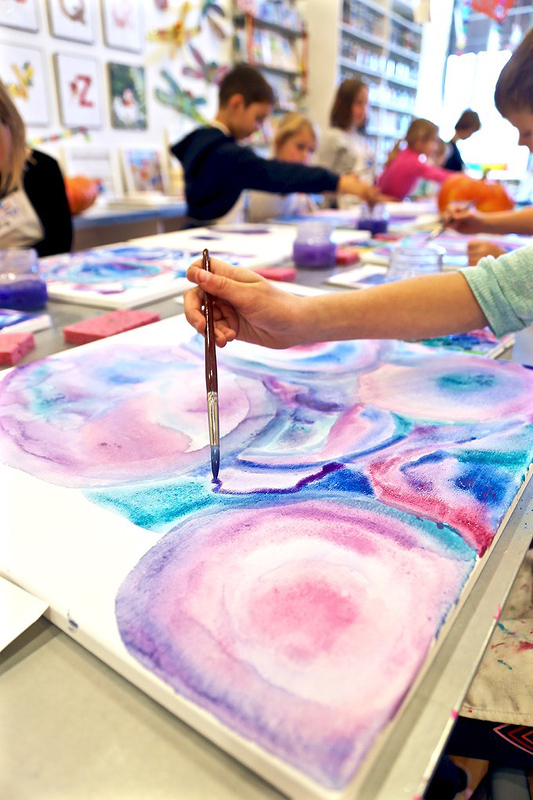 Use a heavier weight watercolor paper to create a vibrant wash for the background. Dry. NINE Assemble all the separate cutout/painted pieces using a heavy duty glue stick. TEN Onto delightful details! Add highlights in eyes using white acrylic paint. Add swirls using colored pencil or permanent marker by using a similar color. Add texture and additional delightful detail. Use cut paper shapes, ex. stripes or polka dots to create a contrasting background to pop the creature! Most importantly, create a pet with personality and humor that comes to life with color, contrast, and human-like features! 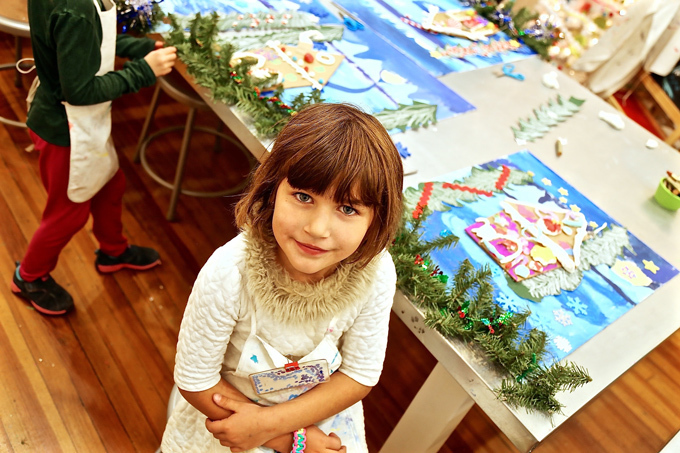 … for making these two community projects, completely focused on kid art, come together for our community! Happy Summertime + July 1st! 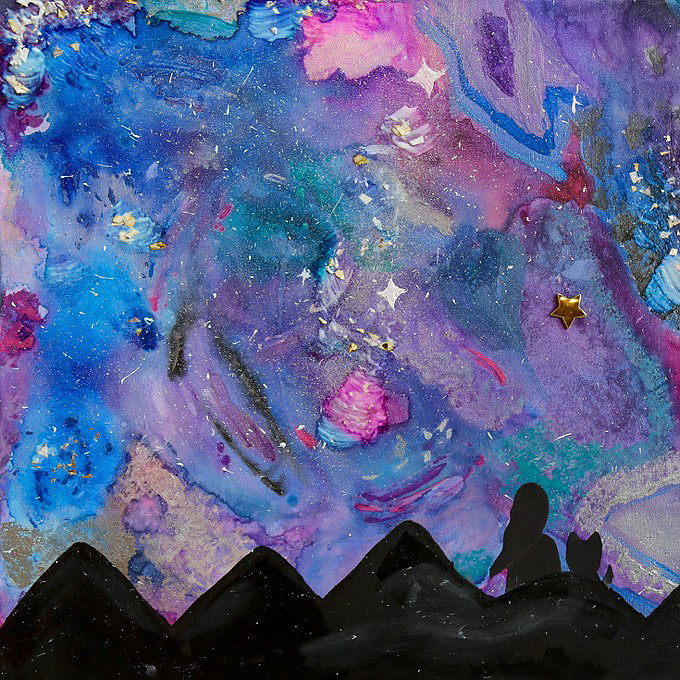 Excited to announce we’re partnering with Deep Space Sparkle as an art presenter in their Draw, Paint, Make online workshop this Saturday, July 7th! 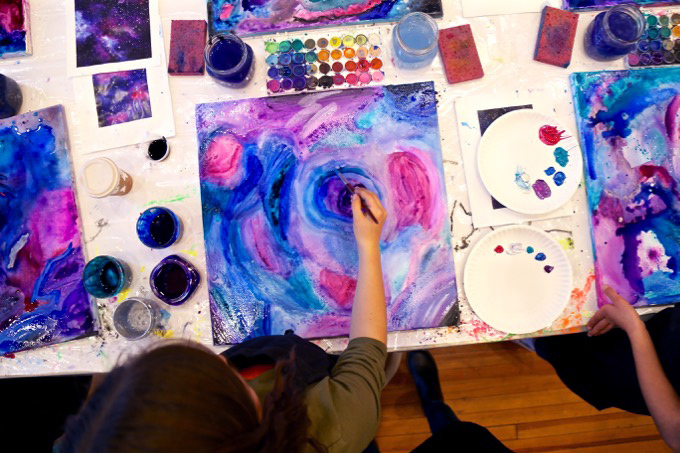 Learn more about this incredible art workshop, the art teachers involved (pictured below), and all the amazing techniques, processes, and projects featured! 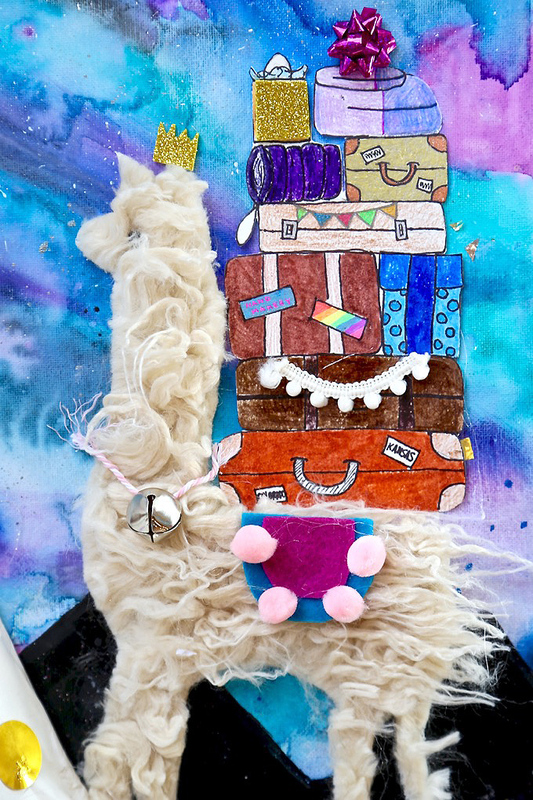 In this artfully amazing workshop, we’ll be demonstrating all the steps + secrets + special techniques used to create our recent ~ Lil’ Llamas in Pajamas Party Project! 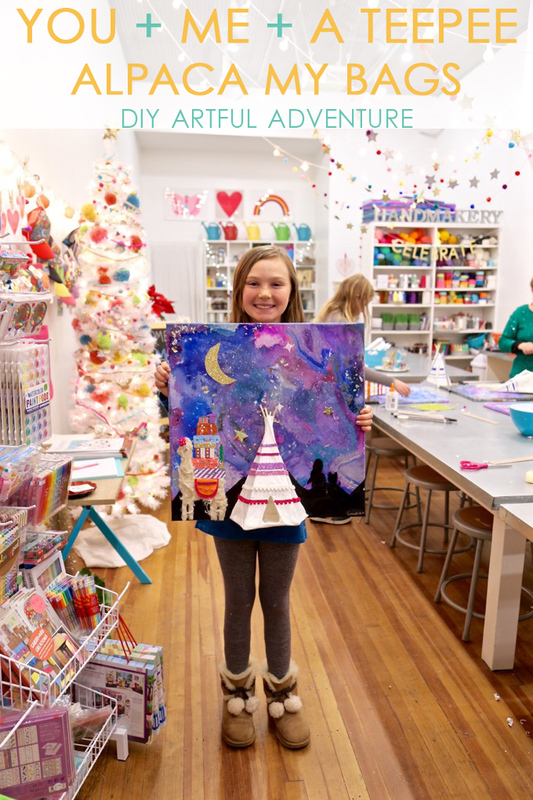 Designed, dreamed up, and created with mini-makers in our very own downtown studio! 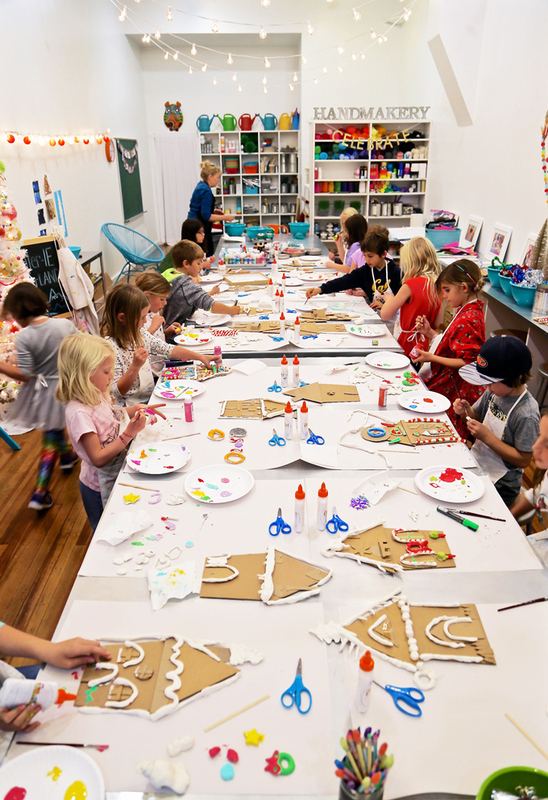 Within the workshop, we’ll also be giving a tour of our NEW art studio (click for a sneak peek) and its organization for creating with children! Join HANDMAKERY + six other art teachers to jazz up art projects with inspiring, yet easy, processes, plans & techniques this Saturday! 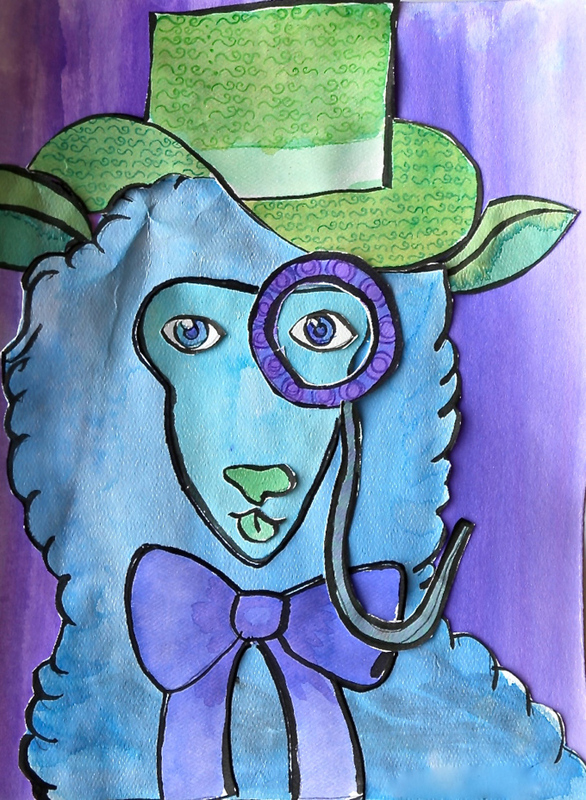 Our Lil’ Lamas in Pajamas Project focuses on painted pillows, poufs, ottomans, and wallpaper as interior design elements. It also highlights lovely lil’ llamas, a pajama party a-poppin’, the artist as a photographer peeking into the party, a masterpiece mix of techniques using sketching, drawing, painting, collaging, photography, interior design, expressive color, a unique + exquisite color scheme, patterns, layering, humor, a fun storyline based on the letter P, and more! 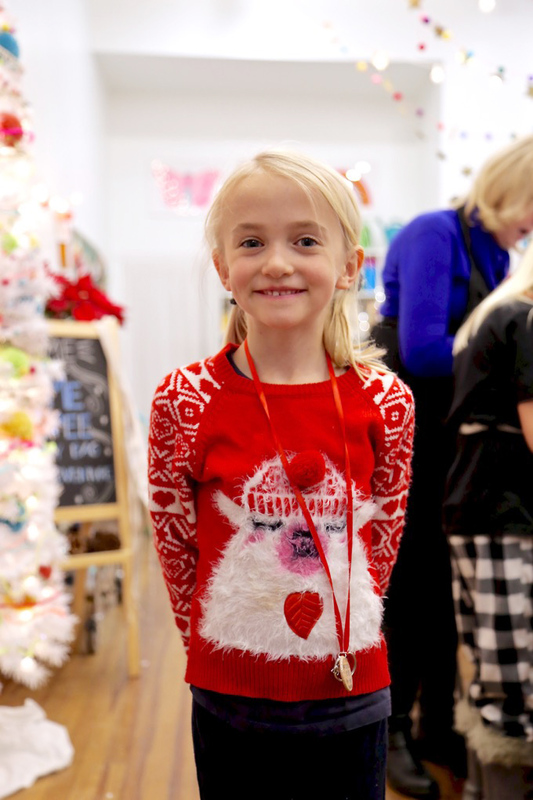 Did we mention, in our six-week workshop creating with children, we topped it off with our very own pajama party plus mini-exhibit for our mini makers!?! 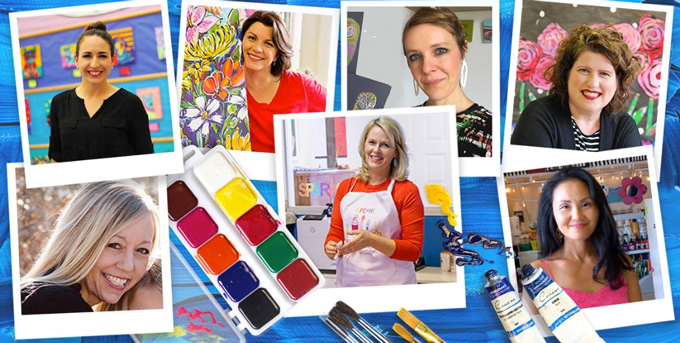 Would love for you to join us this Saturday for Draw, Paint, Make! We’ll definitely be there chatting and chiming in! 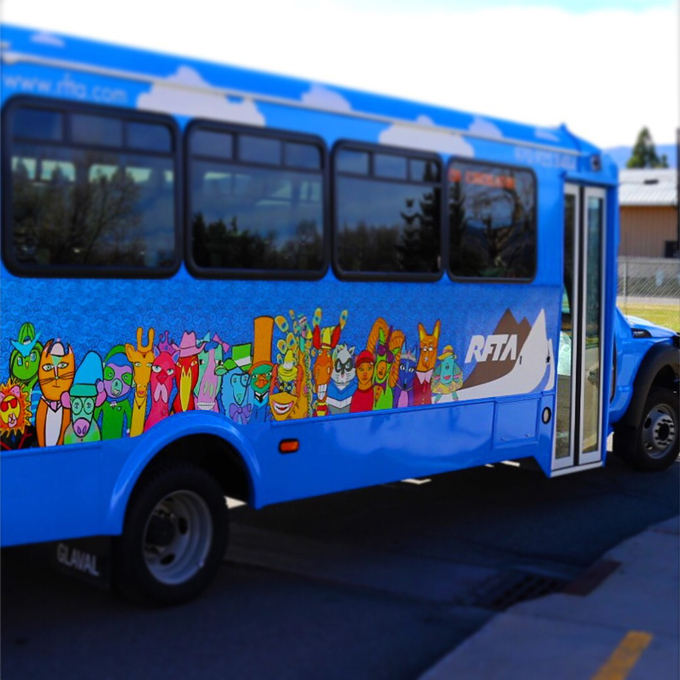 See below, photos highlighting one of our favorite projects we’ve designed for kids! Be sure you’re following us @handmakery on Instagram for the latest and greatest creative happenings! May’s First Friday always brings our entire community out for the annual ~ Family Block Party! 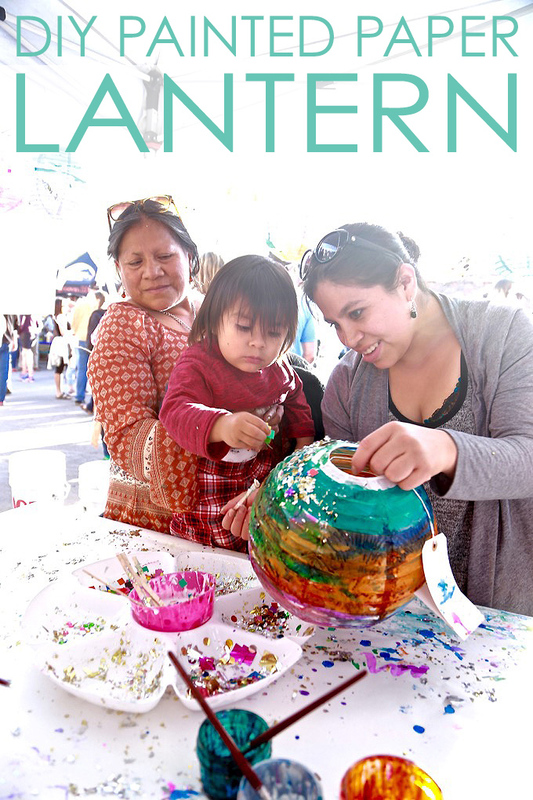 Friday evening we hosted ~ DIY Painted Paper Lanterns in our outdoor art studio from 4 – 8 PM. Take a peek at a quick video clip to music! 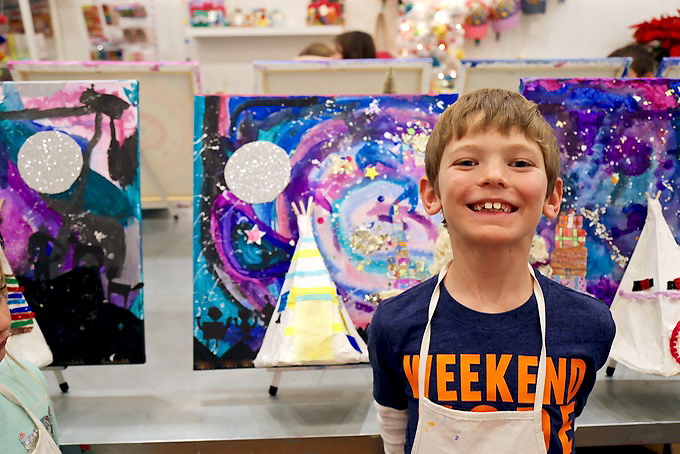 Cheers to a wide-open canvas for all ages to explore! 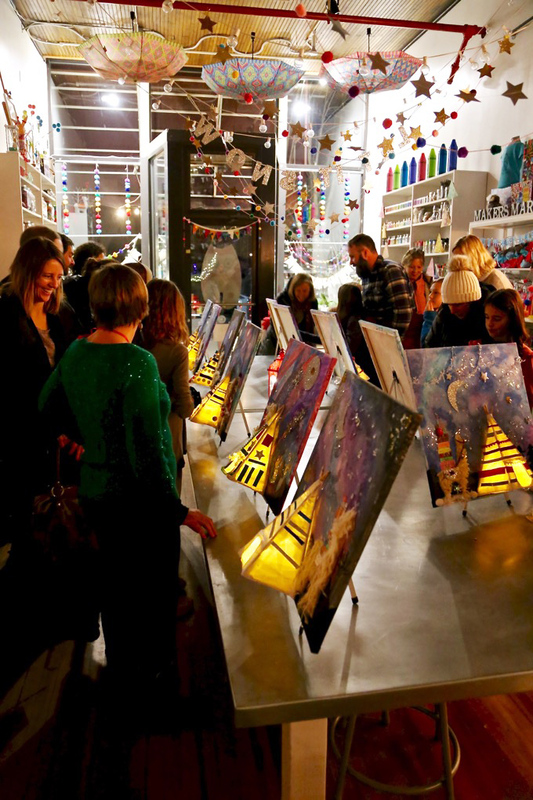 A huge thank you to everyone for joining this festive event in downtown Carbondale | CO! Take a peek at all the magic in our outdoor studio! 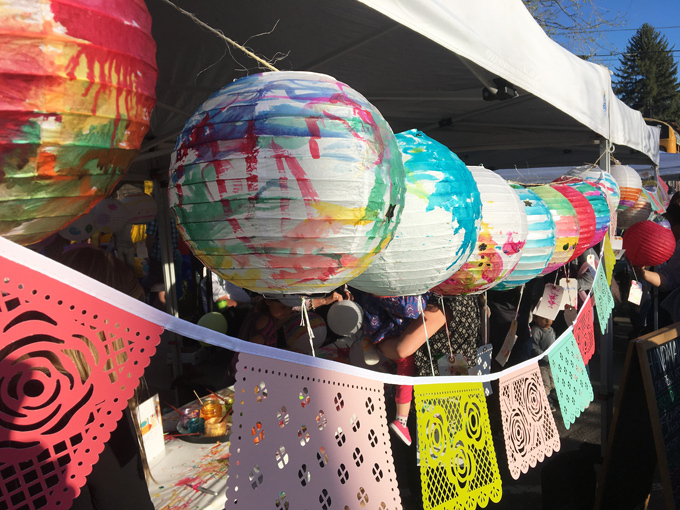 By the end of the night, all 130 paper lanterns were out of sight, heading home for colorful + creative delight! Connect with us @handmakery on IG for the next creative + community + colorful happening! 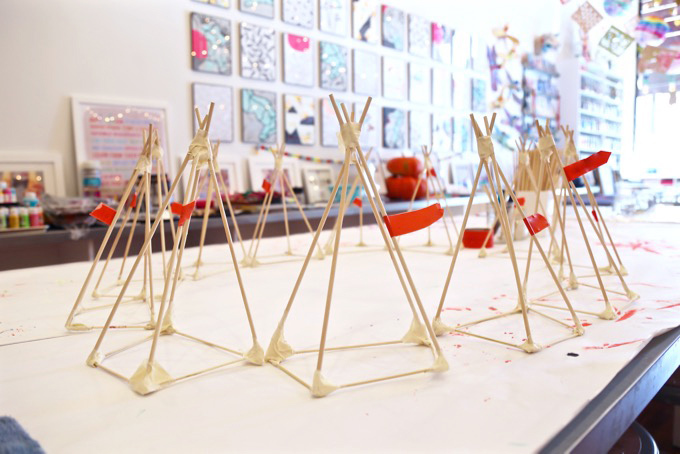 Excited to share with you a project recently dreamed up, designed, created, and of course, constructed in our very own downtown art studio! 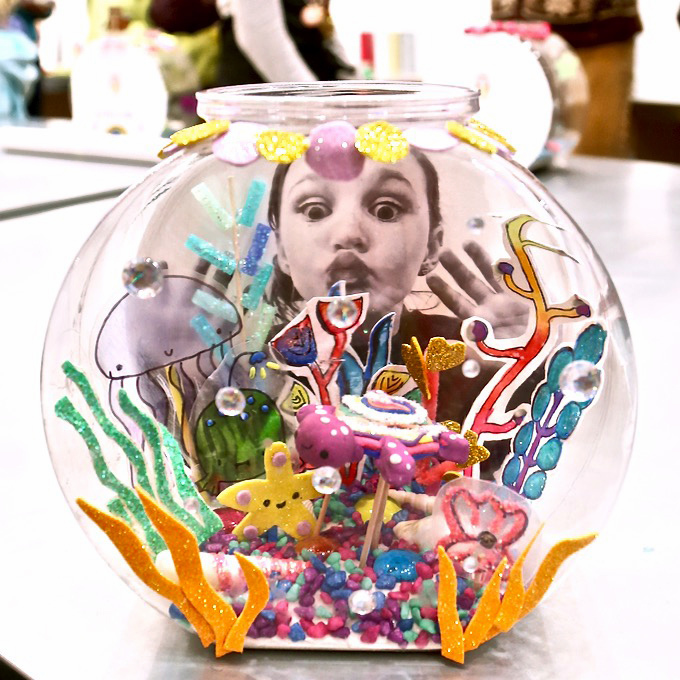 Take a BIG splash into our ~ DIY Forever Fishbowls! 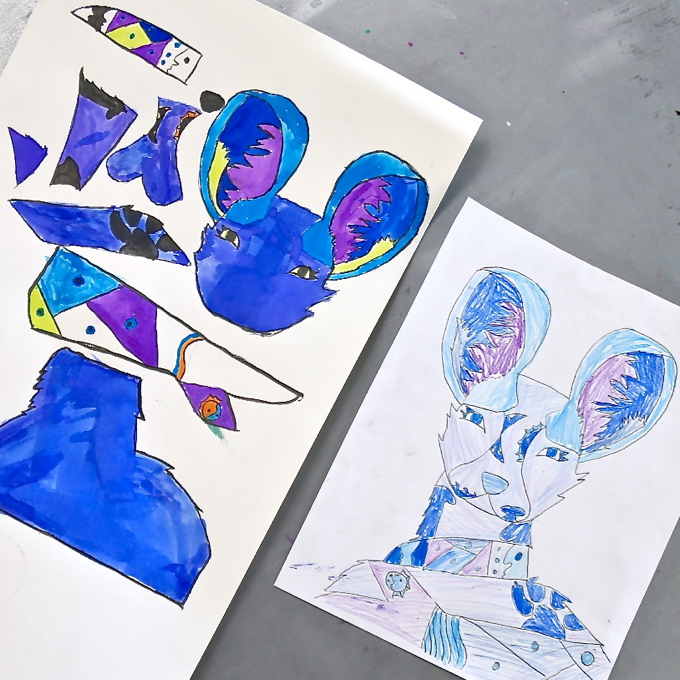 This project was created, carried out, and creatively constructed in several of our mixed age, six-week, after school, hands-on + mixed media, art workshops creating with young artists! 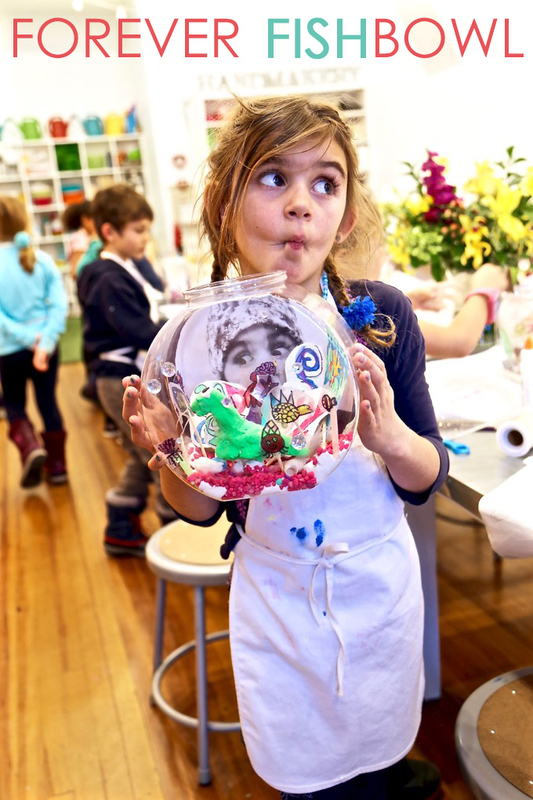 Beyond excited to also announce hands on + mixed media + NEW ART WORKSHOPS START NEXT WEEK for a wide array of ages! 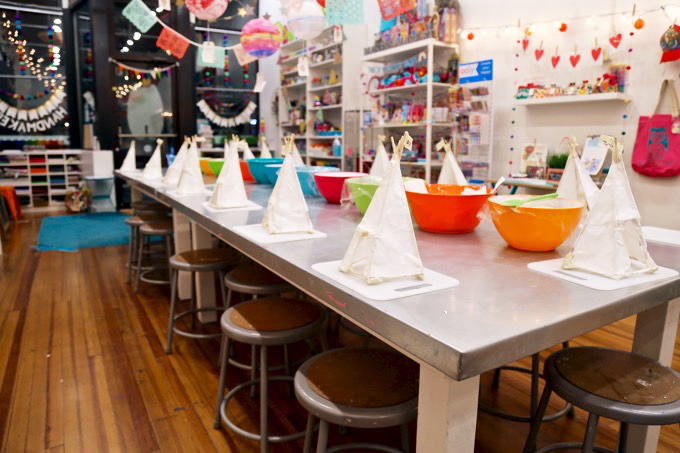 Hop on over to ENROLL AT HANDMAKERY.COM as spaces are quickly filling! While visiting, peek at new photos on our site and IG feed! 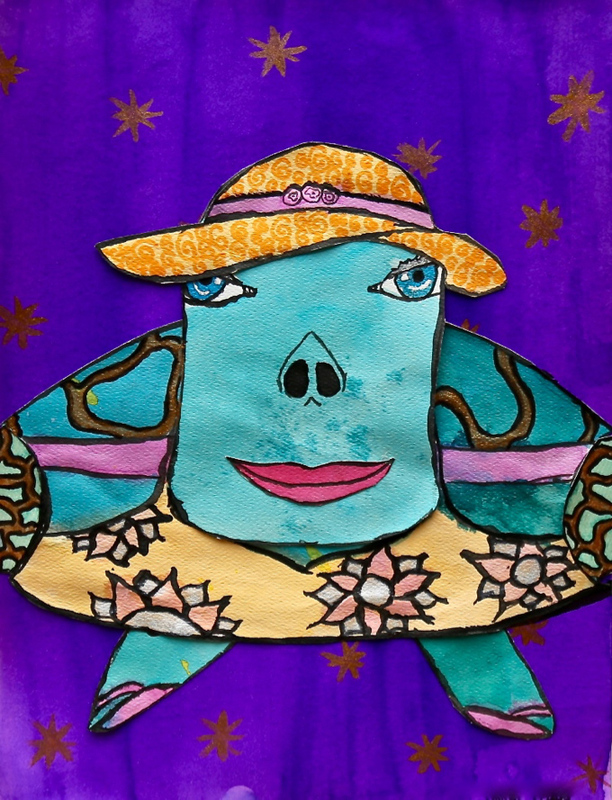 As you can clearly see, artists used a wide array of mixed media to bring their vision to life! 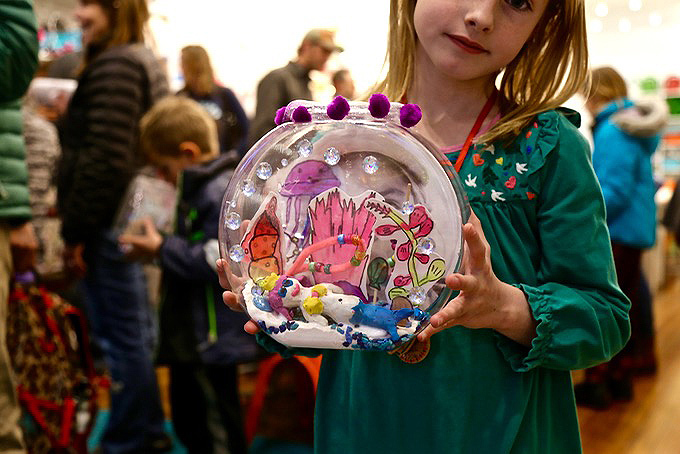 Below, you’ll discover all you need to create your very own ~ DIY Forever Fishbowl. The big + beautiful bonus, you’ll never send a fish into fishy heaven, EVER EVER EVER again. YES, this fishy will truly live F-O-R-E-V-E-R and children LOVE this fact! Like, XOXOXO times a million or LOVE for a lifetime! 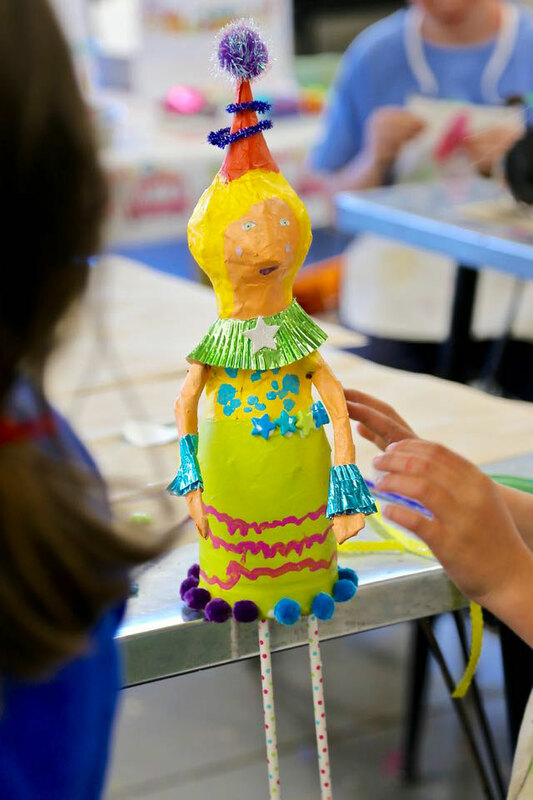 Incredibly excited to share with you our original ~ DIY Papier-mache Figures created in our Mini Makers Workshop with 5 – 10-year-old artists! 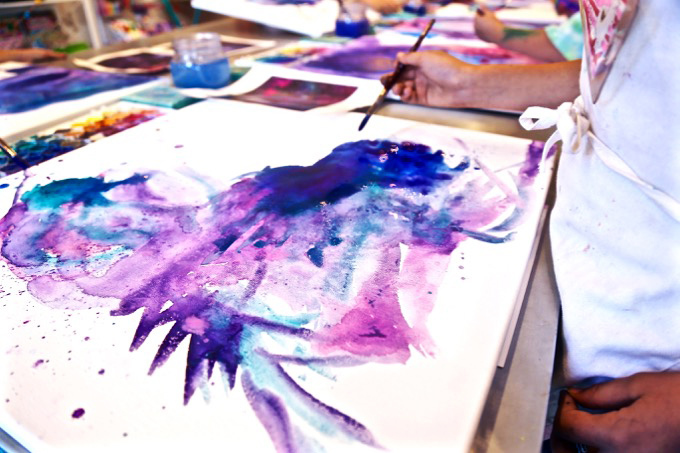 Our next session of weekly art workshops begins the week of October 16th, YES, next week! 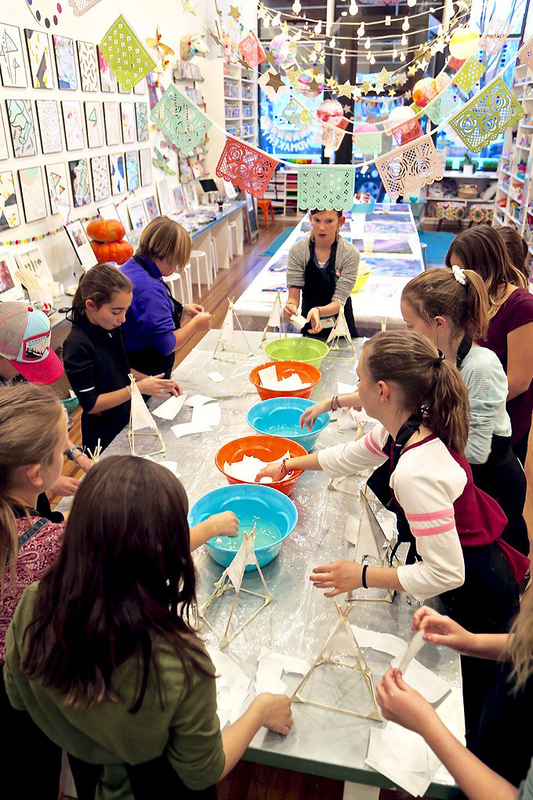 We have a workshop for just about every age under the sun! 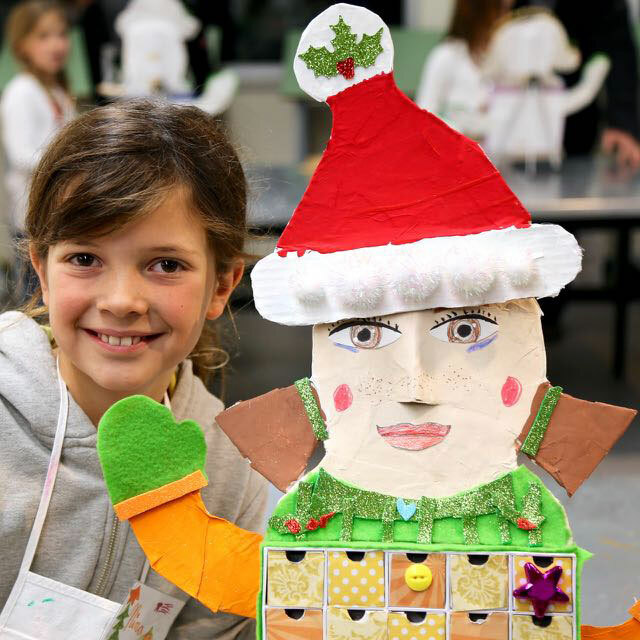 Take a peek at our upcoming schedule filled with weekly workshops, craft nights, holiday camps + events, and celebrations! 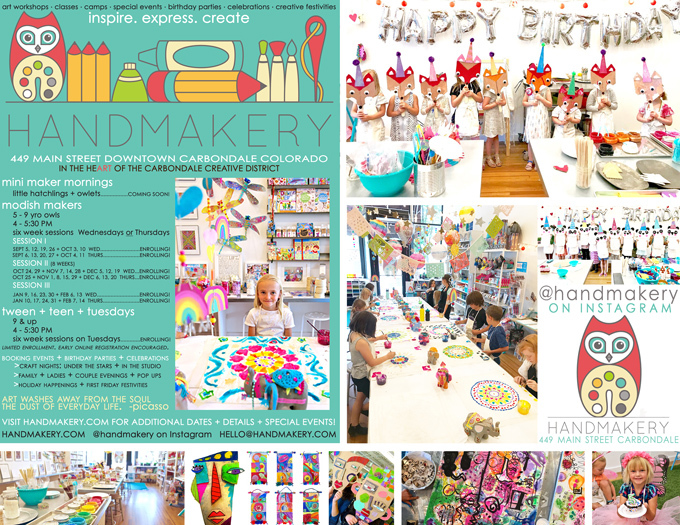 Excited to announce we’re now hosting birthday parties in our beautiful + NEW art studio on Main Street! Be on the lookout for our first ever ~ Ladies Craft Night coming soon! Excited to share with you our original, Myself the Elf Christmas Countdown! 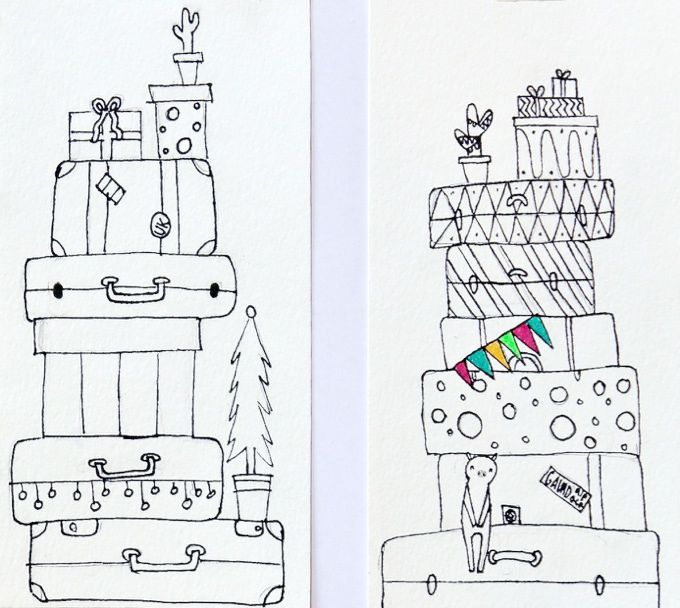 A project dreamed up for our Modish Mini Makers art workshop ~ On Holiday: making + creating to give! A handmade treasure that can be used year-after-year for a traditional holiday countdown and also for teeny-tiny treasures! Love how they look so much like their mini makers! Take a peek! 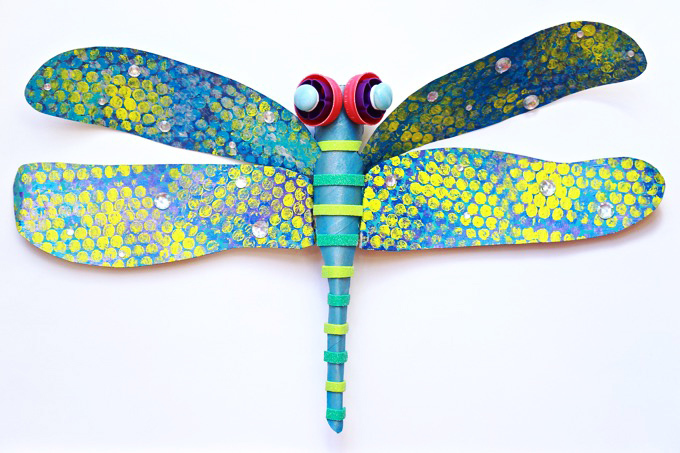 This week I’m guest judging the KIDSCRAFTS101 WEEKLY CHALLENGE over on Instagram! 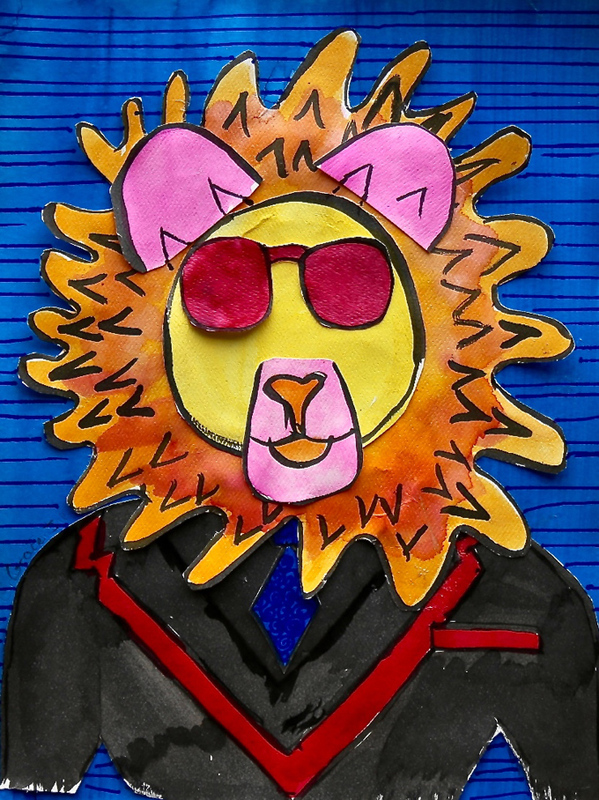 Simply tag all your kid crafts, #kidscrafts101. 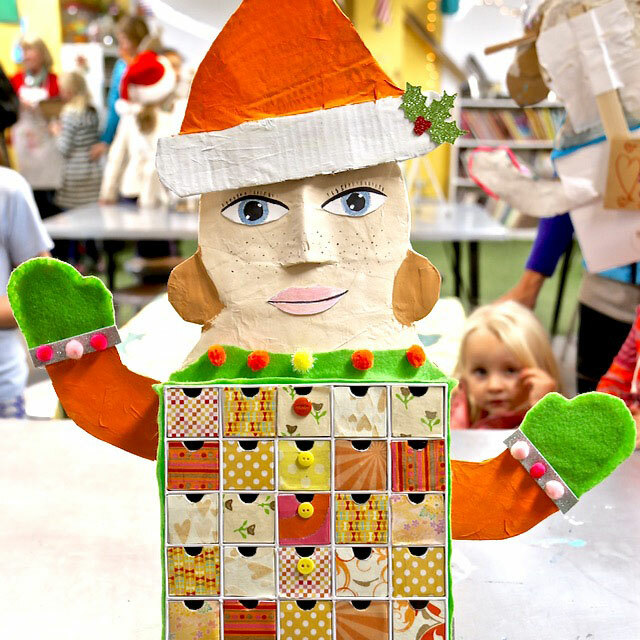 Just follow @kidscrafts101, co-hosts @redtedart + @incredibusy, and guest judge @handmakery over on IG! Tag all your #kidscrafts101 throughout the week and I’ll feature a collage collection and highlight the makers on Sunday! 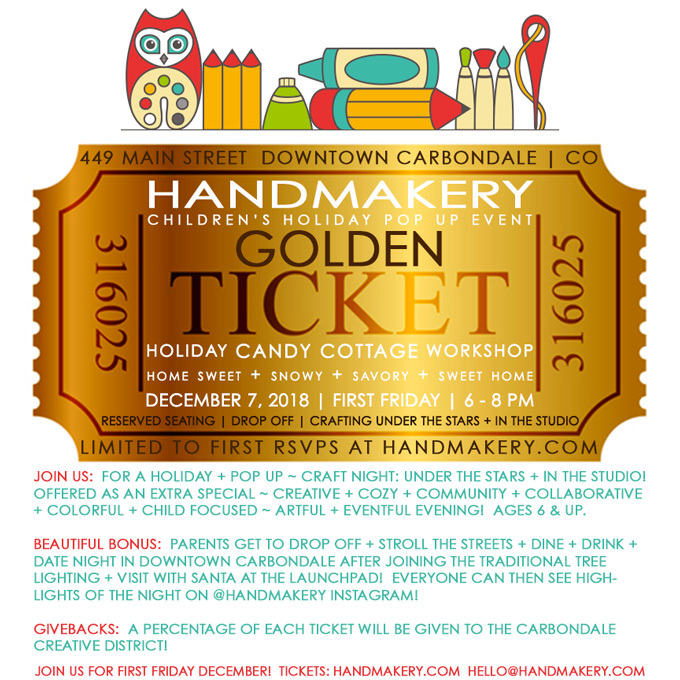 Truly hope you’ll join us, such a fabulous way to celebrate creativity + craftiness + childhood + a colorful life + connection thru community! It’s absolutely a fantastic + fun-filled + fabulous adventure! If you haven’t yet joined Instagram, it’s incredibly easy! I’ve met so many wonderful people locally and throughout the world on this platform. Here’s a peek at a few inspiring IG feeds to follow to get you started! Embellishments- pom poms, glitter foam, colored felt sheets, buttons, and more! Join us! 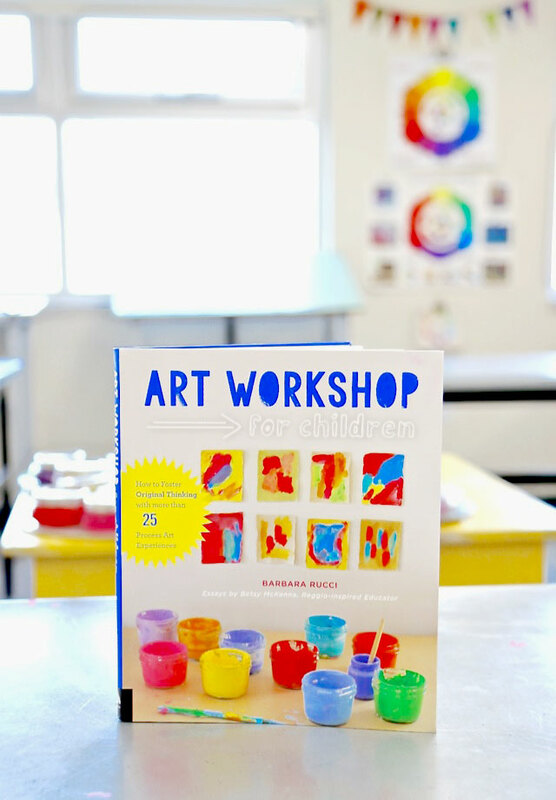 Today we’re celebrating my dear friend, Barbara Rucci of Art Bar Blog, and her #1 New Release, Art Workshop for Children: How to Foster Original Thinking with more than 25 Process Art Experiences! 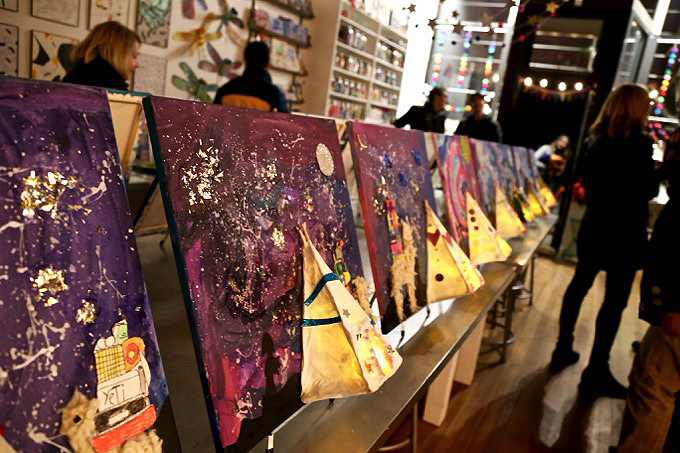 Beyond excited to highlight two inspired projects from this book that we themed under an Art Bar Dessert Party: Cakes + Doughnuts with young artists in our own studio! Here’s a creative clip to give you an idea, just how beautiful Bar’s new book is for creating a creative childhood. 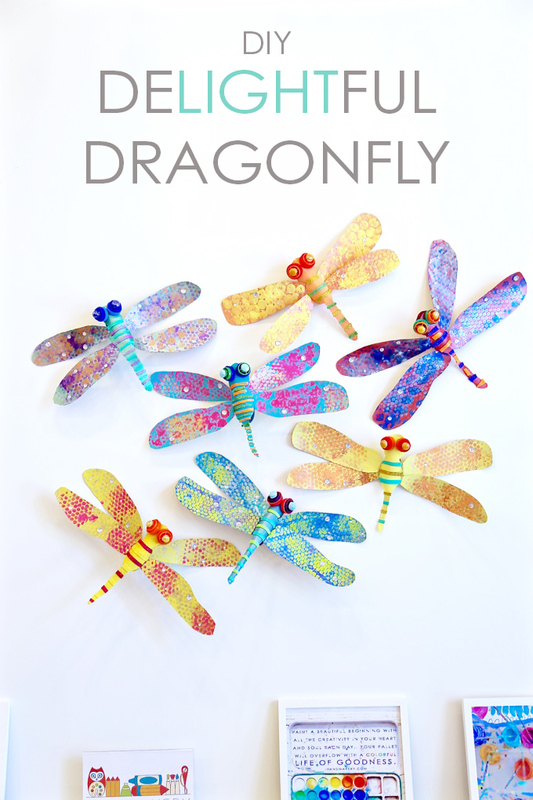 To get the inside scoop, juicy details, chance to meet the maker and all her magic, dive in here! 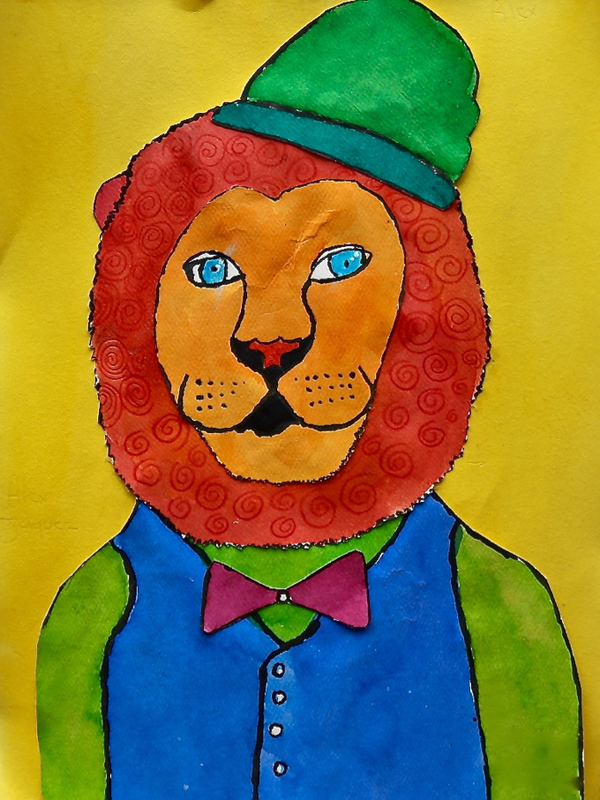 Barbara invited me to join her book blog tour that will feature 26+ amazing kid + art bloggers. Over the summer I had the honor to preview and endorse Bar’s new book, Art Workshop for Children. I was on a three day camping trip, and basically couldn’t put this incredible book down. After returning, completely inspired, I preordered it on Amazon and spent all fall anxiously awaiting its arrival! When my book arrived on October 15, it felt amazing to finally have it in my hands. It’s truly a gem that will shine in our studio for years to come. Beyond amazed at all the 25+ creative workshops, simple in both setup and supplies! 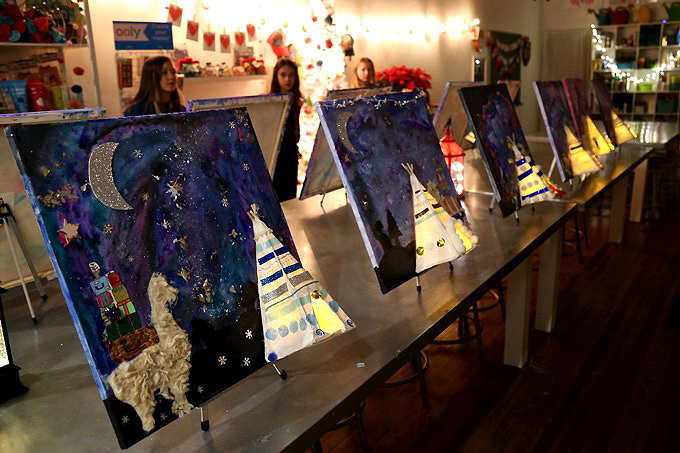 Bar basically delivers a rich, open-ended, studio experience, keyed into unleashing a child’s creativity. Bar unfolds an easy to follow, beautifully visual layout, that guides one towards expressive exploration and artistic discovery in a studio, classroom, or home.